Born in Chicago, Edward Loewenstein graduated from Deerfield Shields High School then graduated from MIT with a BA in Architecture in 1935. He worked as a draftsman for Ralph E. Stoetzel and Newhouse Bernham in Chicago before opening an office in Highland Park IL in 1938. He served in the US Army for five years starting in 1941. In 1946, he moved to Greensboro with wife Francis Stern Loewenstein. His wife's stepfather, the very wealthy Julius Cone, provided access to a large social network of contacts upon which Loewenstein built an architectural practice. In 1953, he joined with Robert A. Atkinson, Jr. to form Loewenstein-Atkinson. Loewenstein was the first white architect in North Carolina to hire black architects, including William Streat in 1950, W. Edward (Blue) Jenkins, Major Sanders, and Clinton Gravely. According to his daughter, Jane Levy, "my father just respected everyone. When confronted by white architects who had a problem with black co-workers, he told them they were welcome to leave." Loewenstein was an active member of Governor Terry Sanford's North Carolina Commission on Civil Rights. Here's the firm around 1962: Major Sanders is in the middle front and Clinton Gravely is three to the right in the back. 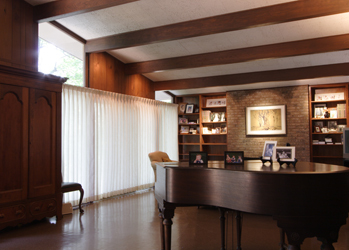 The firm's work was featured in the New York Times, Architectural Record, Good Housekeeping, and Southern Architect among many other publications. Walter T. (Tom) Wilson was 27 when he was made partner in 1967 and the firm became Loewenstein Atkinson and Wilson. At its peak the firm employed more than 30 with branches in Greensboro, Martinsville VA, Danville VA, Raleigh, and Burlington. The firm designed around 1600 buildings. 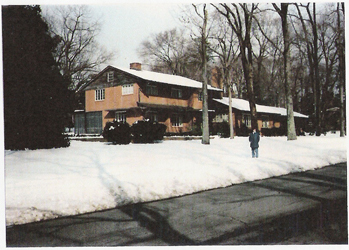 Their offices were in a Georgian-style house at 1030 East Wendover Avenue, the former mansion of Julius Cone where Wilson stored all of the firm's blueprints. As of 2009, the firm was called Wilson Lysiak. 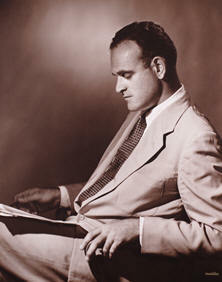 Loewenstein died of a sudden heart attack in 1970. He said that "dedicated architects die unhappy. They never get to unleash creative juices because of pressure to please clients." 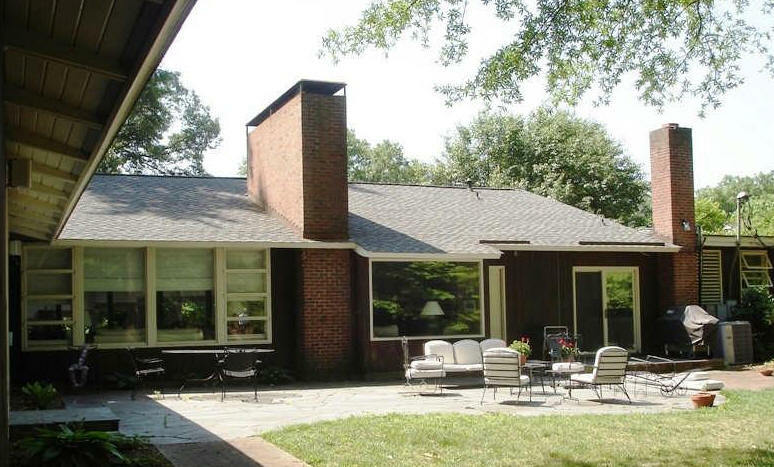 Highlights from the Greensboro Zoning Commission's initial 2009 discussion on Loewenstein's 1958 Commencement House. See their vote, below. 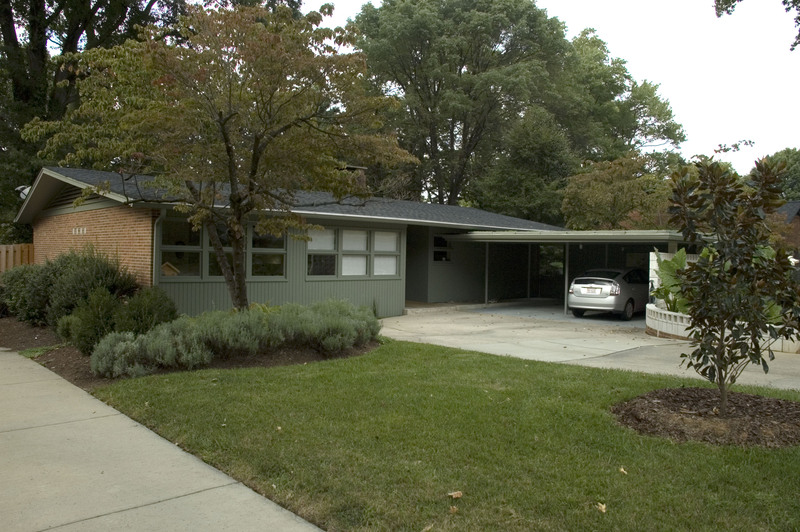 The Greensboro City Council's November 2009 vote on Loewenstein's 1958 Commencement House. The world's expert on Loewenstein's work is Patrick Lee Lucas of the University of Kentucky, formerly with UNC-Greensboro. 1936 - The Vernon Fox House, west side of South Ridge Road between Clavey and Deerfield, Highland Park IL. Designed while working for Newhouse Bernham. Featured in the Chicago Tribune, September 13, 1936. 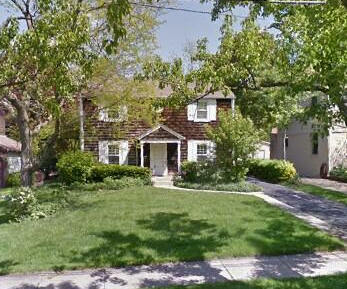 1937 - The H. and R. Anspach Houses, five traditional adjacent homes Highland Park IL. Designed while working for Newhouse Bernham. Featured in the Chicago Tribune, August 1, 1937. 2713 Port Clinton (formerly Clinton Court). 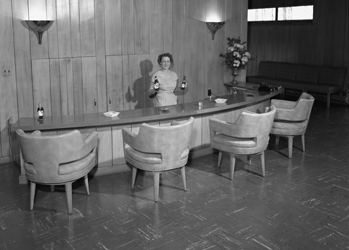 Remodeled in 1954. Sold in 2017 to Alberto and Megan Aviles. 187 Bloom. 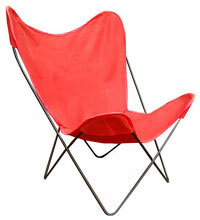 Sold to Dianne M. Viti. 179 Bloom Street. 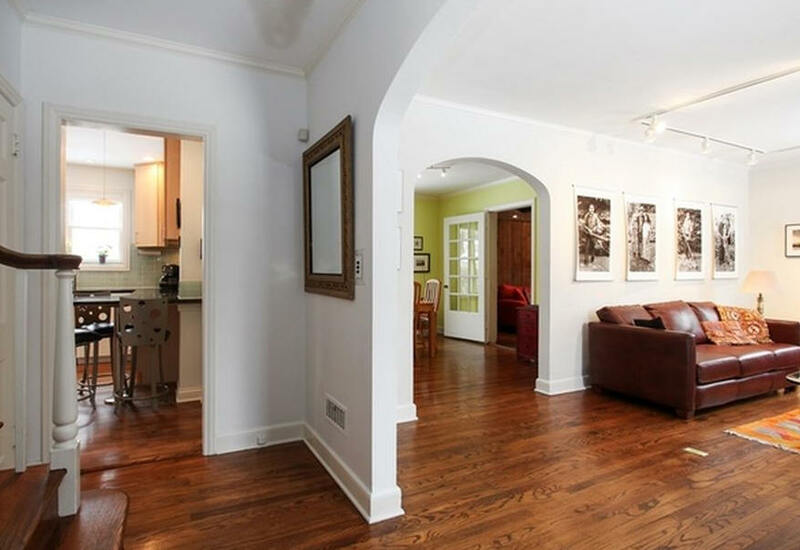 Sold to Jeffrey and Carol Lezak. 171 Bloom Street. 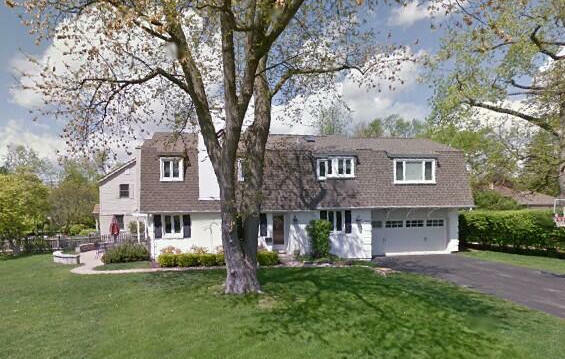 Sold in 2016 to Cynthia and Robert Dubinsky. 2710 Roslyn Lane. Sold in 2002 to Louis and Jean Pasquesi. 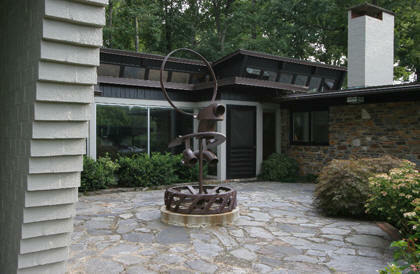 1946 - The Robert N. and Flora Hunter Precast Concrete House, aka Concrete House, 2101 Dellwood Drive, Greensboro NC. 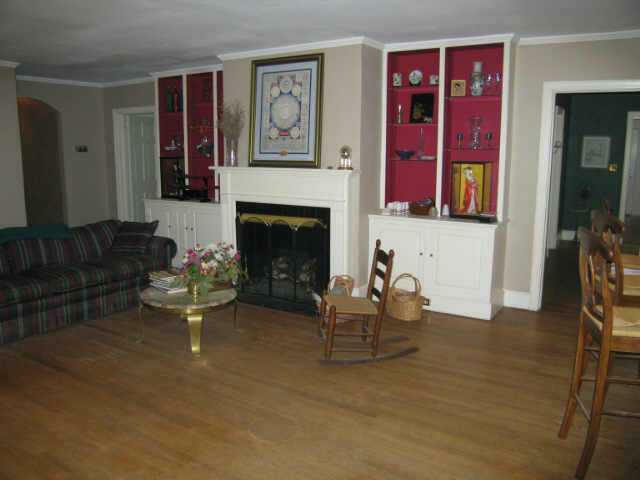 Robert Hunter was President of King-Hunter Inc., the general contractor that built the house. Located next door to the 1948 Stern/Callahan Lustron. 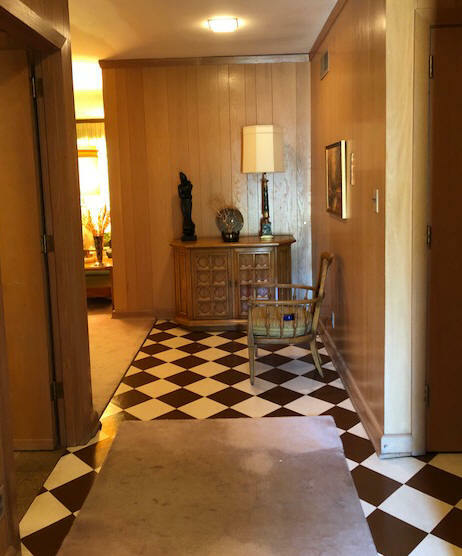 Sold in 1956 to Edwin and Inez Waddell. 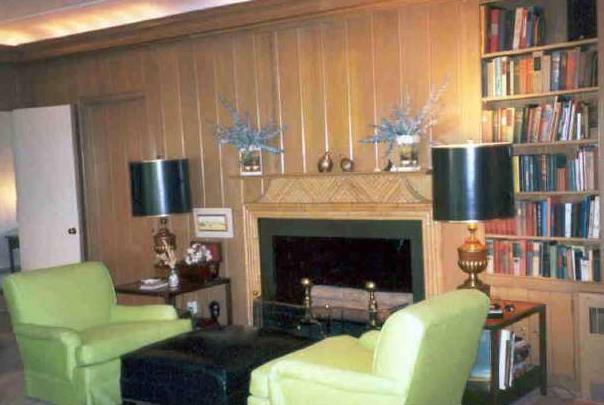 Sold in 1961 to John H. and Viola Lanford. 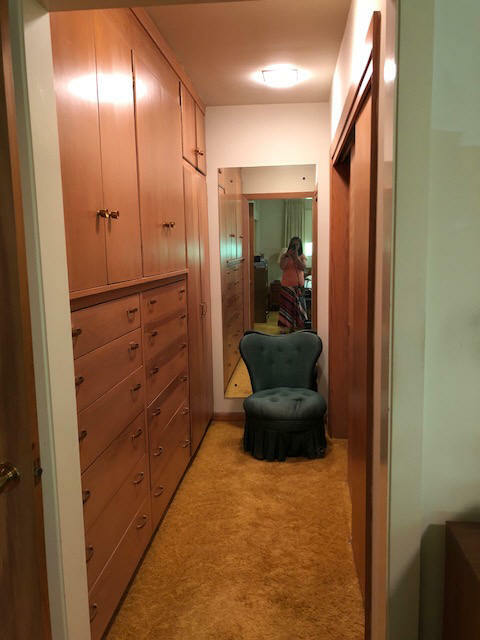 Sold in 1968 to Sarah E. Hearn. 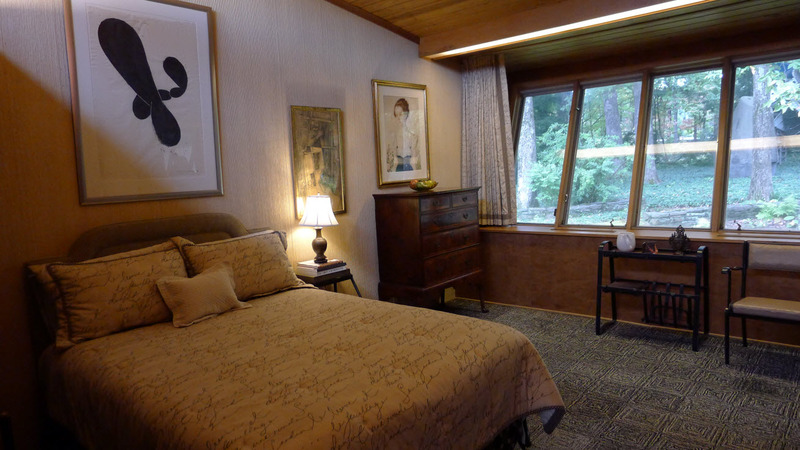 Sold in 1975 to Herschel J. and Betty F. Hearn. Deeded in 1995 to Sarah Hearn Von Foerster. 1950 - The R. S. Cole House, 1208 Westridge Road, Greensboro. 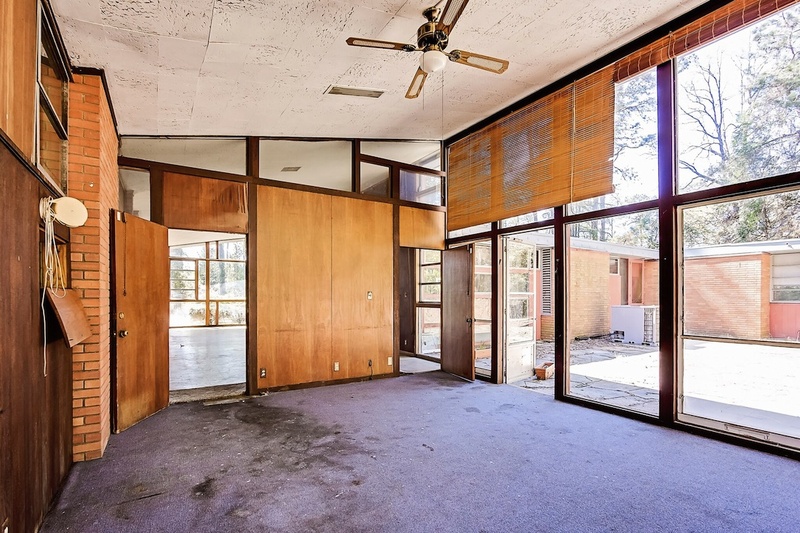 Sold in 1955 to John Futrell. 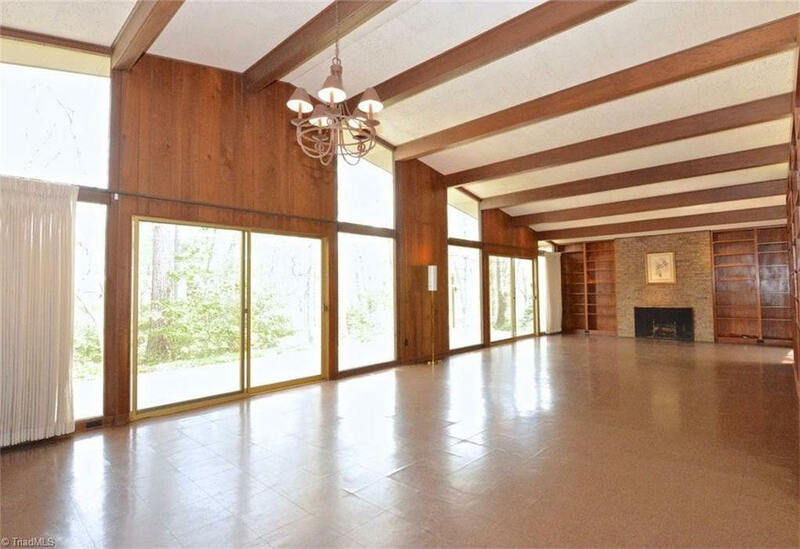 Sold in 1962 to Thomas A. and Dorothy Hall, Jr. Sold in 1989 to Curtis and Terry Lashley, who took out the existing Modernist windows and put in vertical windows. Sold in 1991 to Rob and Karen Luisana, who added a second story in 1991 designed by Karen Luisana and built by Don Sykes. Photos by Paul Macy. 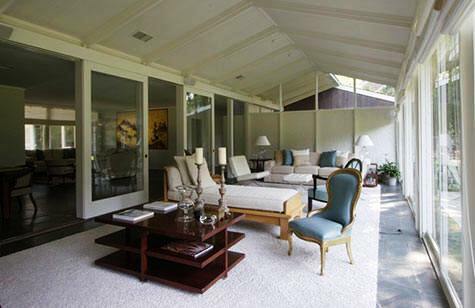 1951 - The Martha and Wilbur Lee (Bo) Carter, Jr. Residence, 1012 Country Club Drive, Greensboro NC. 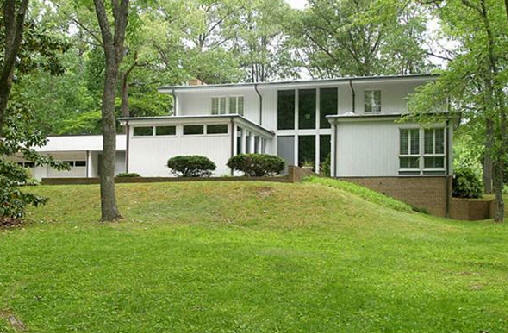 This is the first Modernist house in the area. 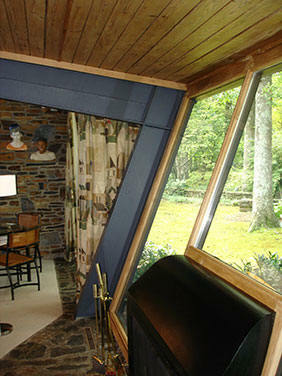 Loewenstein incorporated passive solar heating in the "solar cell" room on the south side. 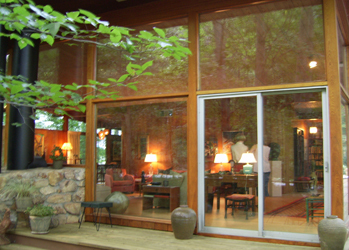 The room originally had a glass roof, sheltered in summer by two mature trees. In winter, without leaves on the trees, the sun could warm the room. A few years after construction, the trees died and were removed. 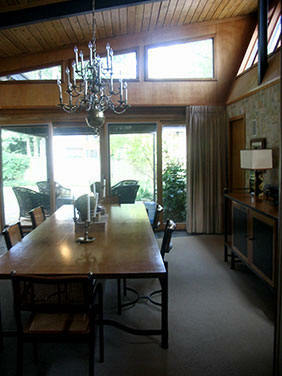 The room got much too hot without the trees so the glass roof was replaced with a conventional roof. 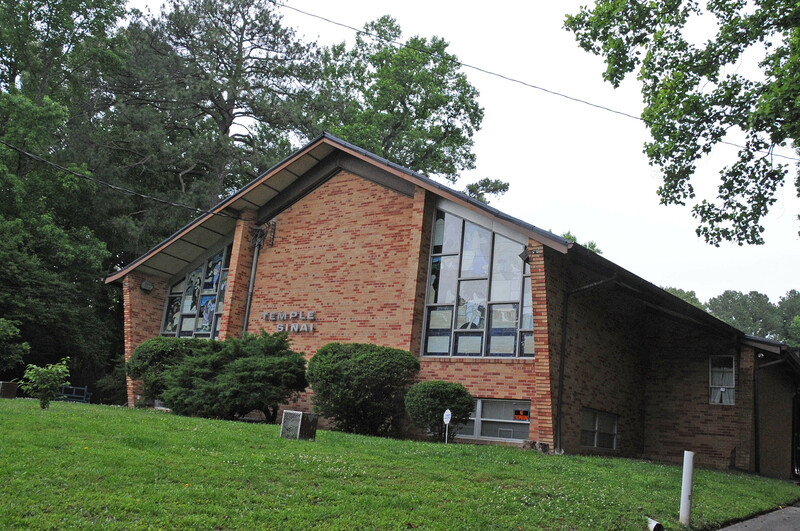 Listed in the National Register of Historic Places in 2008. Won an AIANC design award in 1951. 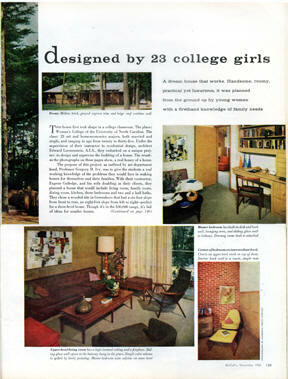 Featured in Architectural Record 1952-53. Sold to Daniel and Kathy Craft. Bottom photo by Leilani Carter. 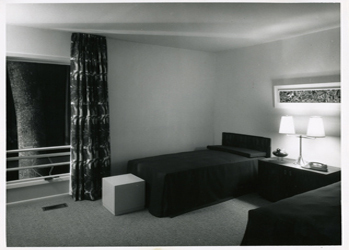 1951 - The A. M. and Ruth Fleishman Residence, 2614 Morganton Road, Fayetteville NC. Deeded to Stefani Wolff. Jim Brandt was the draftsman. Built by Ed Rynick. Top four b/w photos by Jim Brandt. Additional photos by John Cooley. 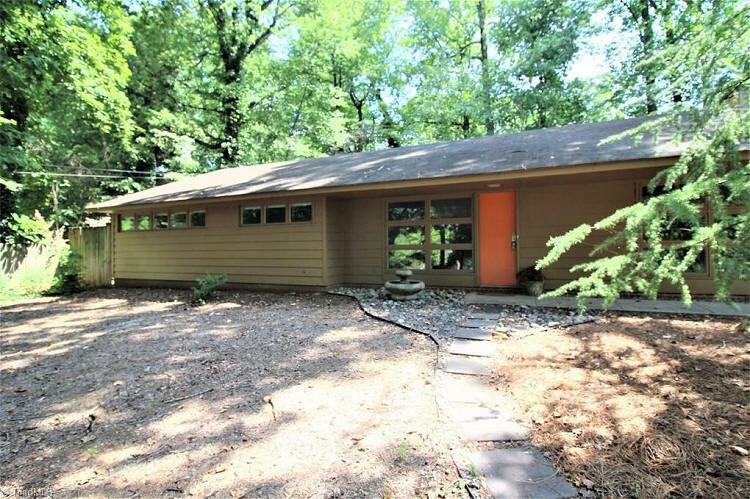 After being vacant for five years, sold in 2016 to David and Rebecca Wendelken. 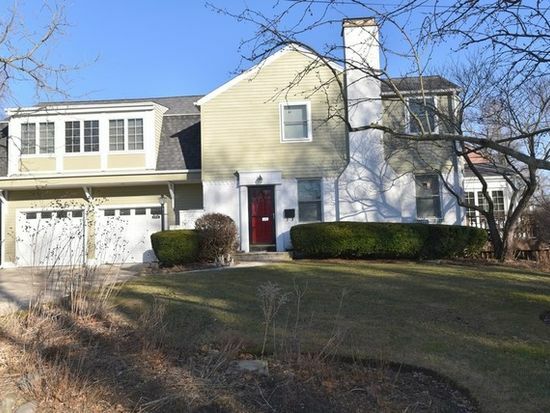 Sold in 2018 to Rosina and Greg Darden. 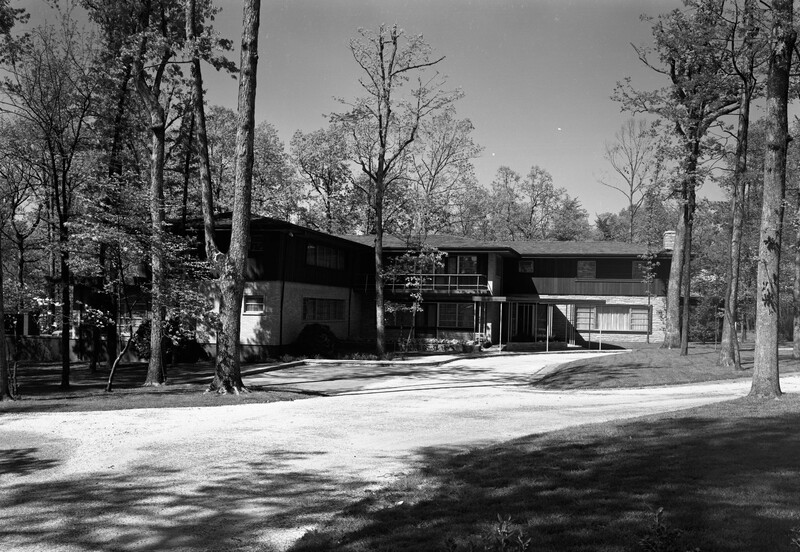 1951 - The Adele and M. Lewis Rosenberg House, 3300 Starmount Drive, Greensboro. Traditional design. Sold to Clara Mae Lupton. Sold to heirs of Clara Mae Lupton. Sold in 2015 to Mary E. ad Woody J. Sandlin. 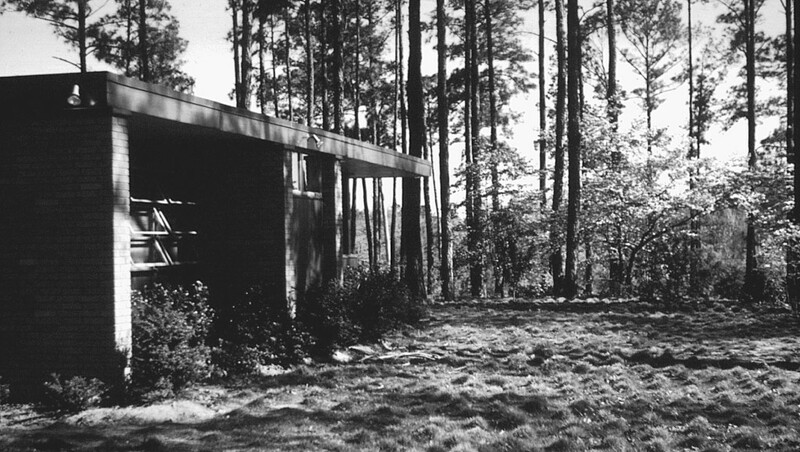 1951 - The Kathryn K and Voit Gilmore House, 700 East Indiana Avenue, Southern Pines. Gilmore was former Mayor in town. Gilmore also founded the Four Seasons Travel Service in 1970 and was appointed by President John F. Kennedy as first director of the US Travel Service. 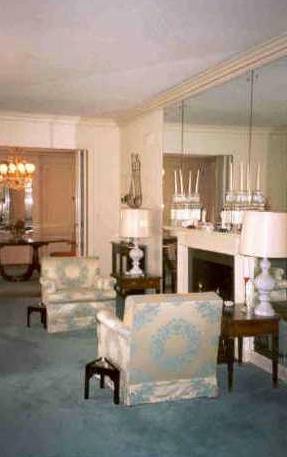 Sold in 1986 to Harriet C. and Kent L. Hogan. Sold in 2001 to SaraLou and David J. Caliri. Sold in 2004 to Bank. Sold in 2005 to Todd J. Zeh. For sale in 2016. 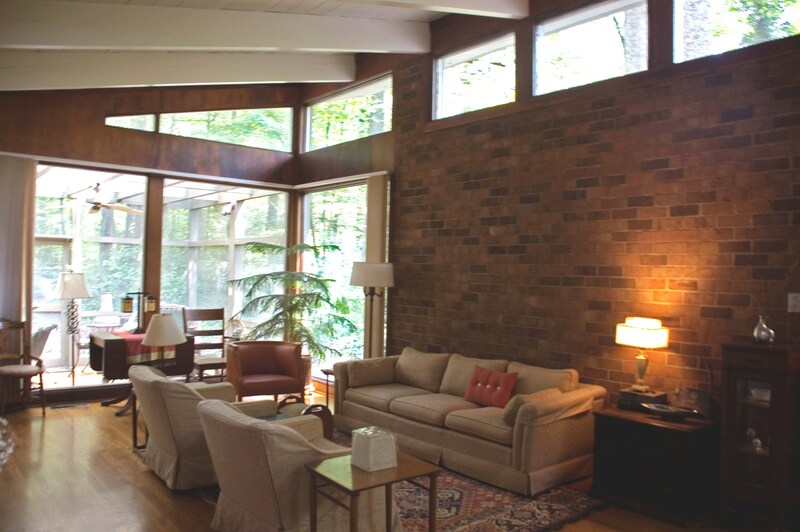 1952 - The Barbara and Harvey Colchamiro House, 106 Knollwood Drive, Greensboro. Traditional design. 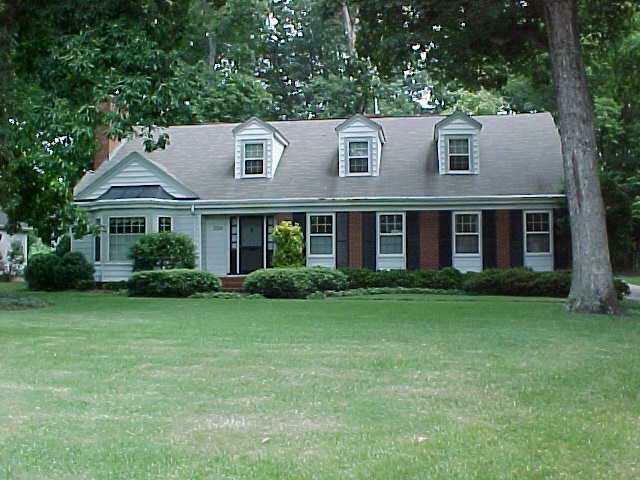 Sold in 2002 to John and Lori Wilson. 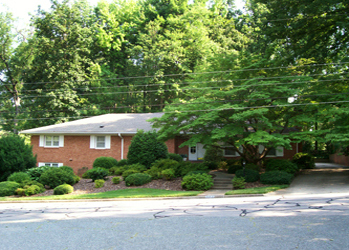 Sold in 2004 to Linda M. and George R. Spangler. 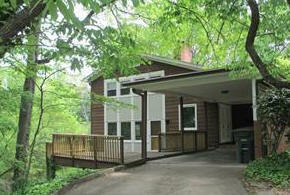 Sold in 2008 to Erin and Todd Badgett. Sold in 2013 to Ellen Thaxton Turner. 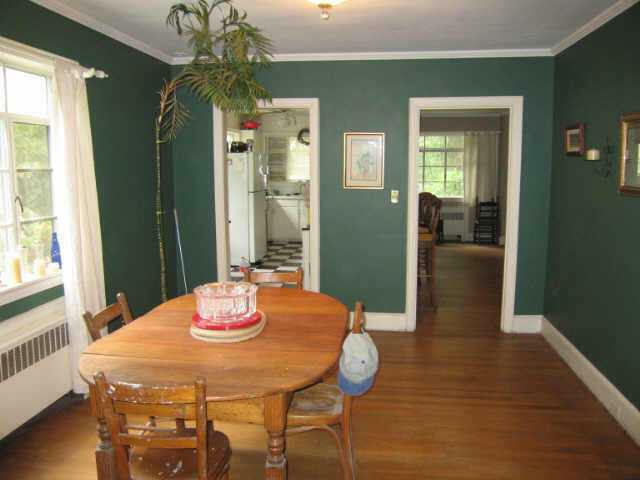 Sold in 2004 to Linda M. and George R. Spangler. 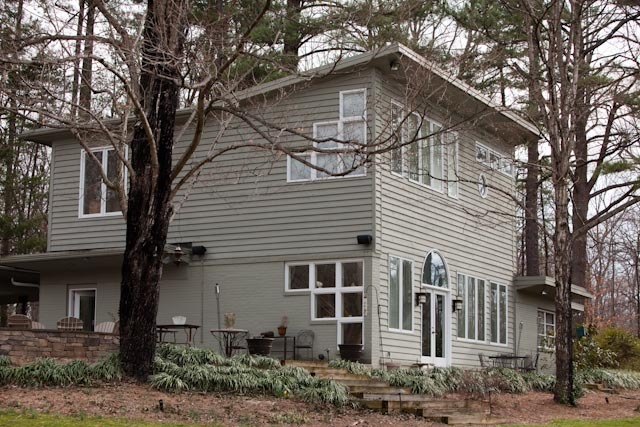 Sold in 2008 to Erin and Todd Badgett. Sold in 2013 to Ellen Thaxton Turner. 1952 - The Charles D. Orth III House, corner of Dover Road at Hammel Road, Greensboro. Traditional design. Commissioned 1950. 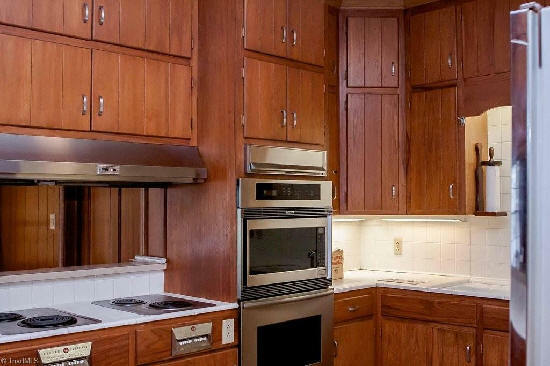 Has been extensively renovated. 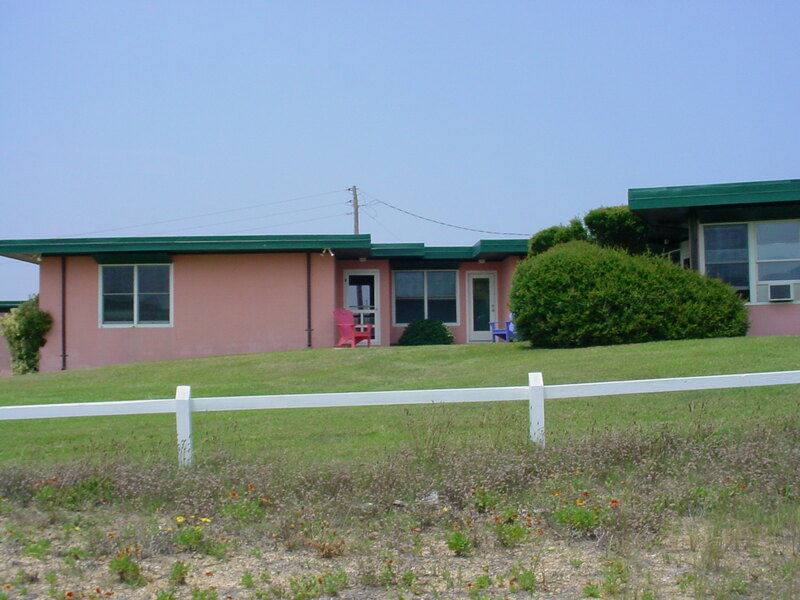 1952 - The E. Edith Pipkin Cottage, aka Pink Perfection, 172 Ocean Boulevard, Kitty Hawk, NC. Edith Pipkin was secretary of Edna Mills Corporation in 1946 when it sold its assets to Cone Mills. Deeded to Pipkin's nephew Ashmead Pringle Pipkin, who took the bottom photo. 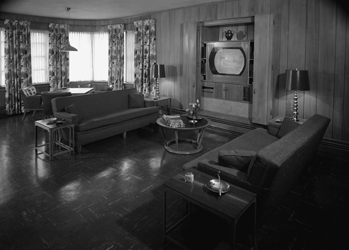 1953 - The Eleanor and Marion Bertling Residence, 2312 Princess Ann Street, Greensboro NC. 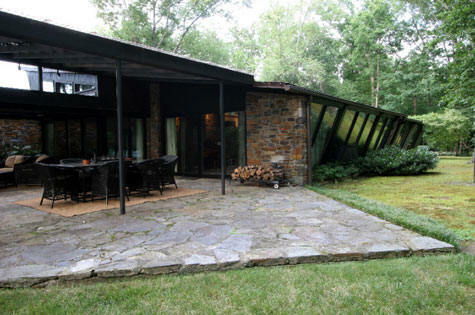 Atypical of the times, almost three dozen neighbors signed a petition of support for building a Modernist dwelling, flying in the face of the unwritten restrictions from the planning and zoning department to prohibit such designs in the Kirkwood neighborhood. Sold in 2001 to Elaine L. and John R. Hammer. Exterior photos by Nicole Alvarez. 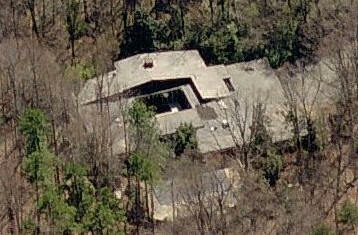 1953 - The JoAnne Spangler Residence, 444 Downing Drive, Danville VA. 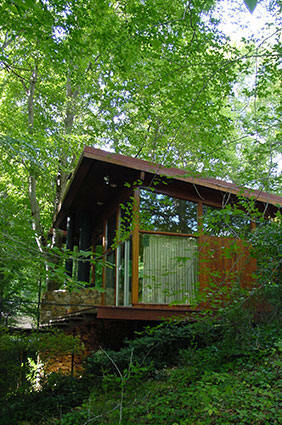 The 1700-square foot, one-story home perches on the hillside and a large exterior deck floats above the creek, suspending deck-sitters in the midst of trees. Sold in 2006 to Porter Aichele and Fritz Janschka. Restored in 2007. 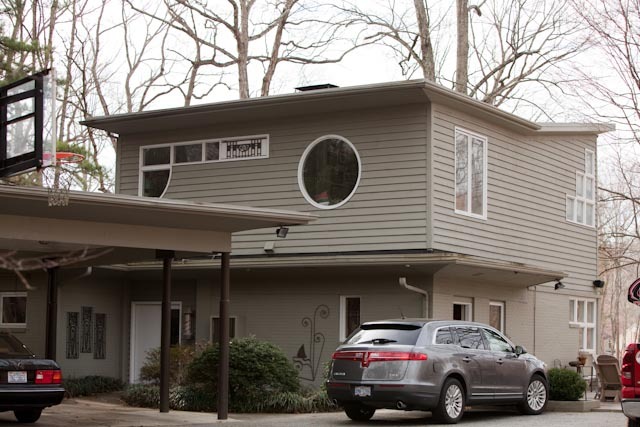 In 2011, architect Carl Myatt designed a bathroom addition. 1953 - The Violet H. and Robert A. Atkinson Jr. House, 1903 Colonial Avenue, Greensboro NC. Later deeded to the widow. Sold in 1984 to Molly W. and John S. Ammondson. 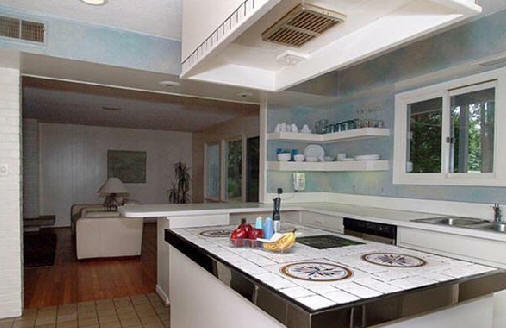 Sold in 1989 to Diane B. and Randall L. Maynard. 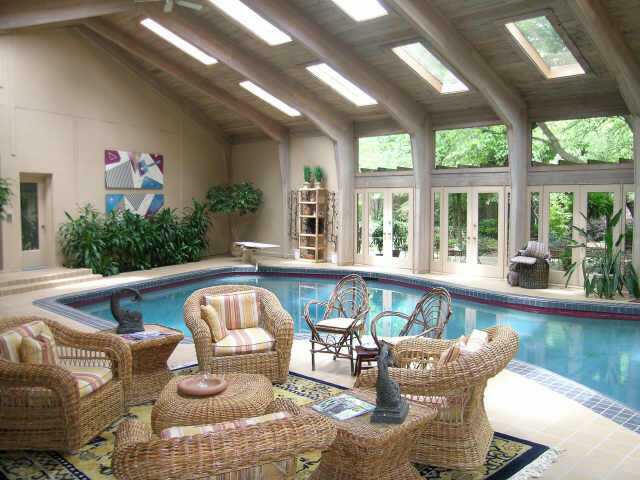 Sold in 1990 to Kathleen McNally and Roger V. Marsh. Sold in 2003 to Mark N. Abrams. Sold in 2006 to Lexi D. and Matthew T. Riek. Sold in 2009 to David B. Denison. 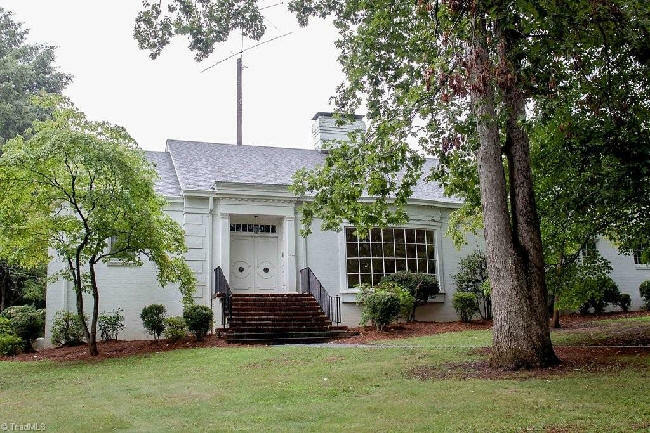 Sold in 2014 to Daniel M. Jones Jr.
1954 - The Addie and John R. Miller House, 1904 Lafayette Avenue, Greensboro. Traditional design. 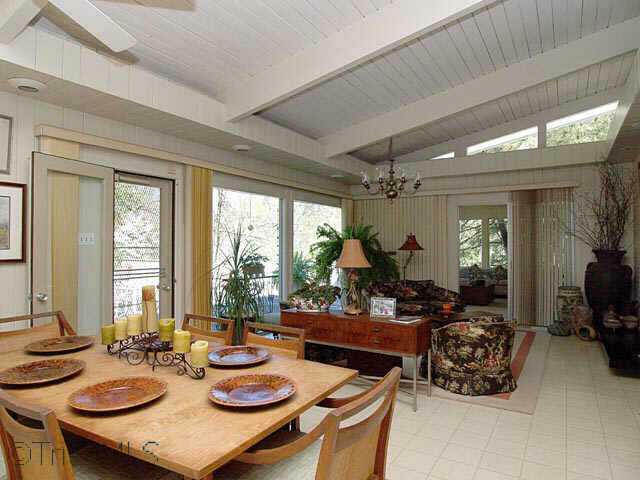 Sold in 1986 to Betty Jo and Charles Forney III. 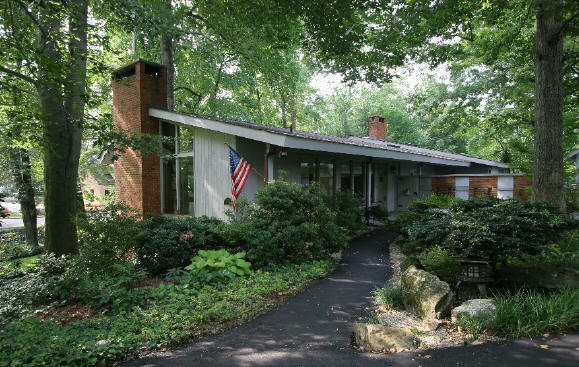 1954 - The Mildred and E. Ray Bond House, 1214 Westridge Road, Greensboro. 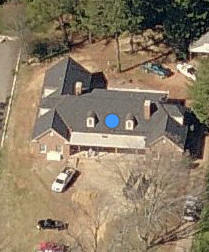 Unsure if this is the original house footprint; it appears to have an addition. 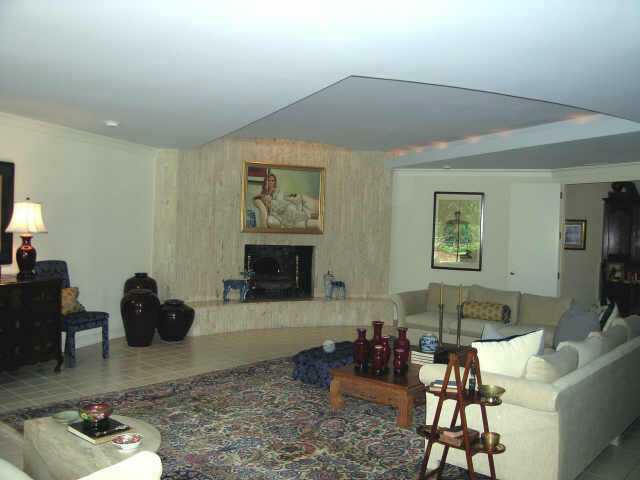 Sold to Edward and Colleen C. Catalano. Has been remodeled away from Modernist design. Bottom photo by Steve Powers. 1954 - The Oscar and Juliet Burnett House, 1908-1910 Lafayette Avenue, Greensboro. Interiors by Sarah Hunter Kelly. Lighting by Thomas Smith Kelly. Destroyed 2007. 1954 - The William A. 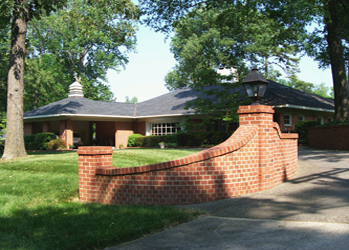 (Bill) Stern House, 114 Wedgedale Avenue, Greensboro. Traditional design. 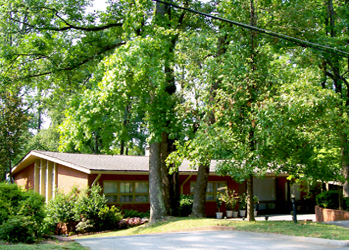 As of 2011 owned by Douglas and Shannon Childs. 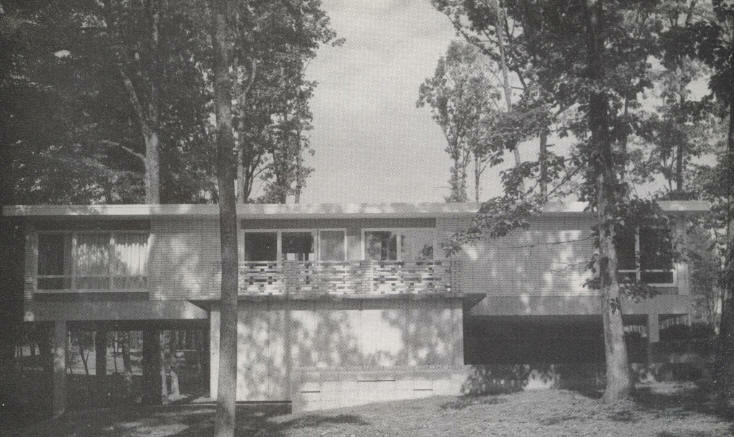 1954 - The Edward and Frances Loewenstein House, 2104 Granville Road, Greensboro. Featured in the New York Times Magazine, June 1955. 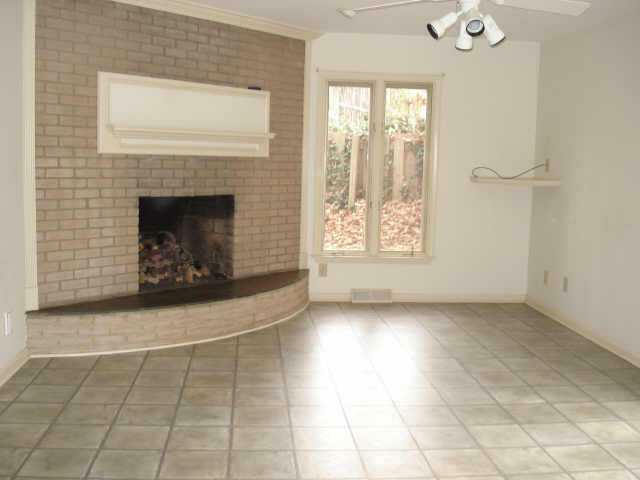 Has a separate carport / apartment. 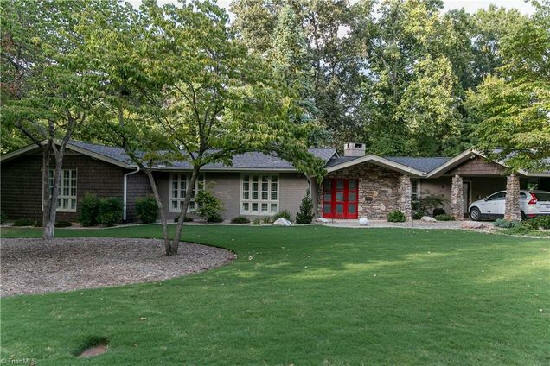 Located on three acres. 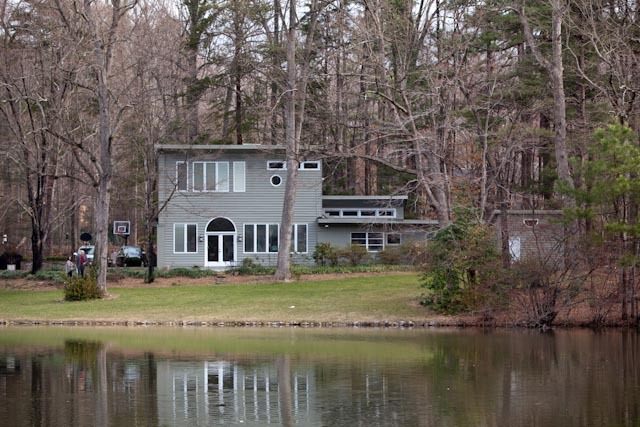 As of 2011 owned by Jane Levy, Loewenstein's daughter, and her husband Richard. 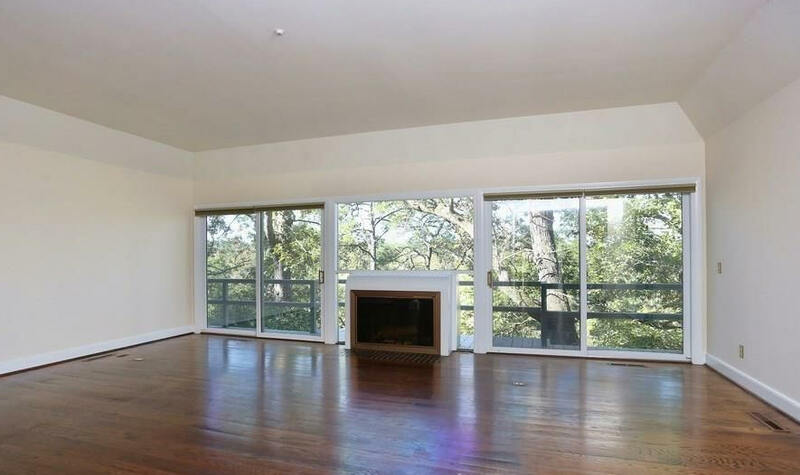 The amazing living room fireplace is built into a window. 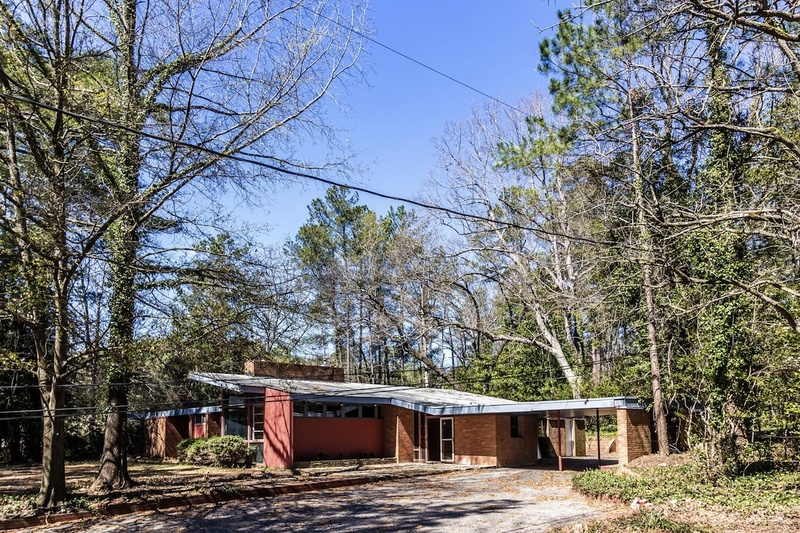 1954 - The Maurice and Dorothy Fleishman House, 1501 Raeford Road, Fayetteville NC. Attributed to Loewenstein. Sold to Raymond E. Nicholson. Destroyed in 2009. 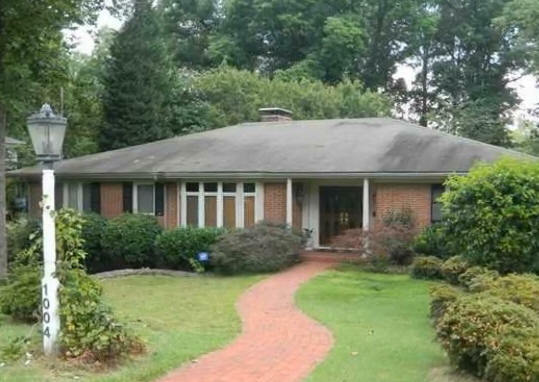 1954 - The Libbie and Clarence Cone House, 910 Sunset Drive, Greensboro. 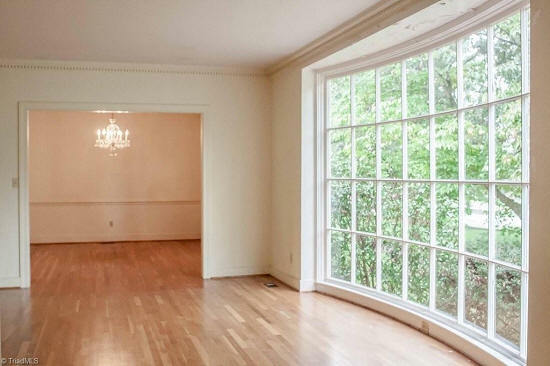 4900 sf. Traditional design. Destroyed around 1998. 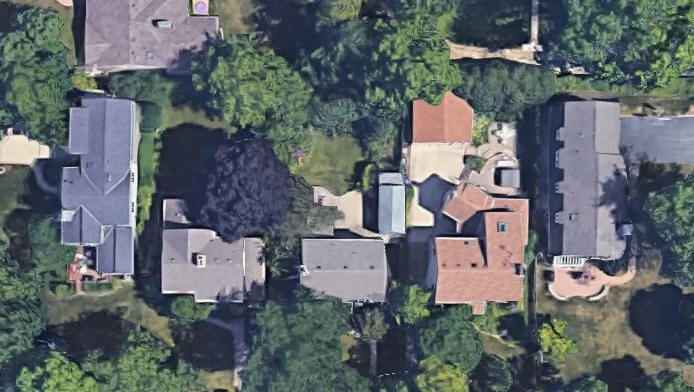 Two new large houses, shown above, were built on the site around 2005. 1954 - The James L. Henson House, 1004 Dover Road, Greensboro. 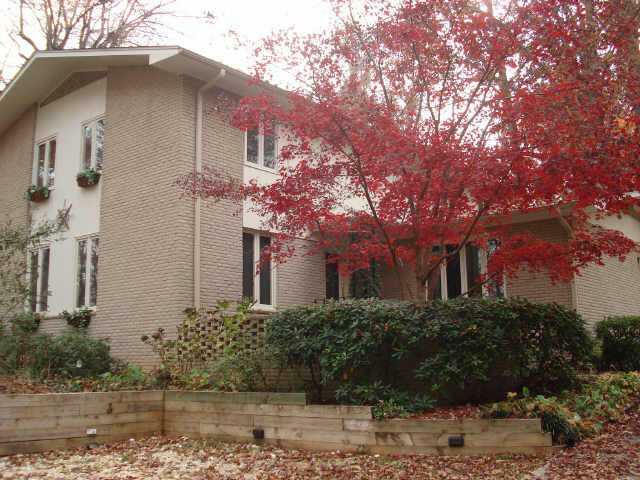 Sold 1976 to Clara B. and Curtis Ray Holmes. Traditional design. Transferred to their trust in 1998. Sold in 2016 to Nicolas J. Ellis and Robert J. Tapp. 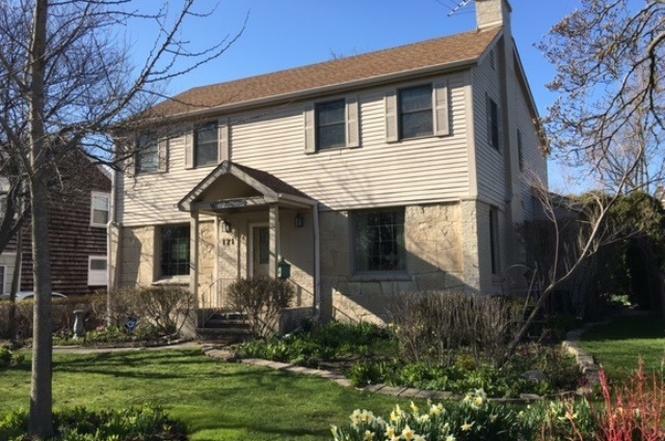 Sold in 2018 to Mary N. and Richard E. Morgan, Trustees of 1316 Trust. 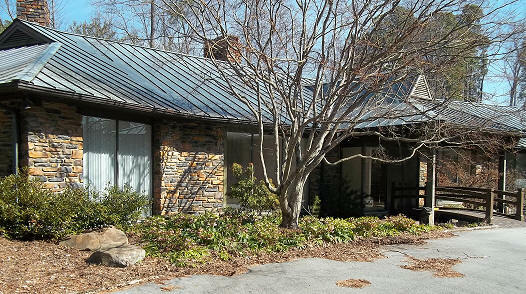 1955 - 1957 - The Lawrence and Ellen Cohen House, 1002 Dover Road, Greensboro. Sold in 1978 to M. Harvey Rubin. 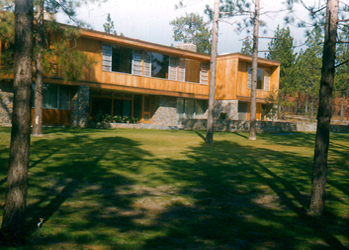 Sold in 1986 to Albert and Florence Jacobson. Sold in 2014 to Sarah and Brian Lopatka.Sold in 2016 to Jill and Derek B. Curtis. A mix of Modern and traditional; often referred to as Loewenstein "hybrid" house. 1955 - The Martha and Caesar Cone House, 506 West Cornwallis Drive, Greensboro. Destroyed. 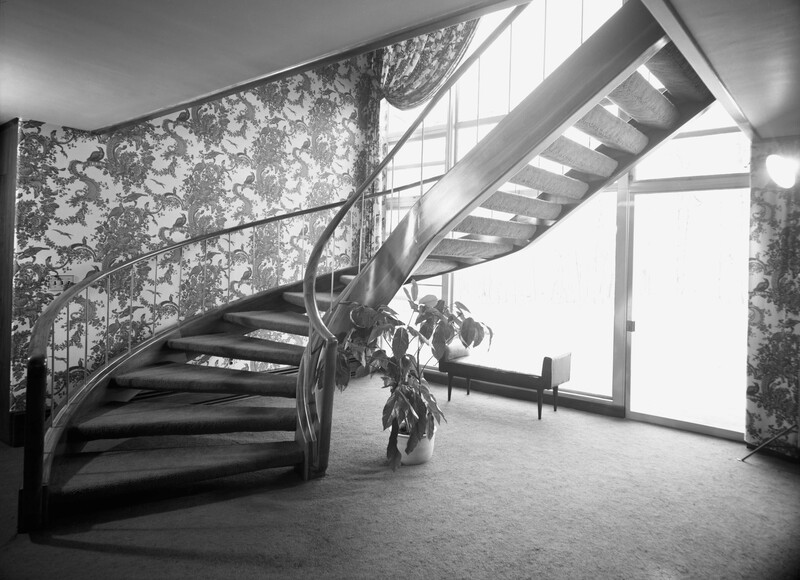 Loewenstein's daughter Jane Loewenstein Levy recalls that Cone was the only client her father argued with, especially over the cost of air conditioning the Modernist mansion Loewenstein designed for him. Cone fired and then rehired Loewenstein. The mansion was demolished around 1994 for a cul-de-sac neighborhood, bottom photo. B/W photos by Carol W. Martin/Greensboro Historical Museum Collection. 1955 - The Alsia and Archie B. Joyner House, 1805 Nottingham Road, Greensboro. 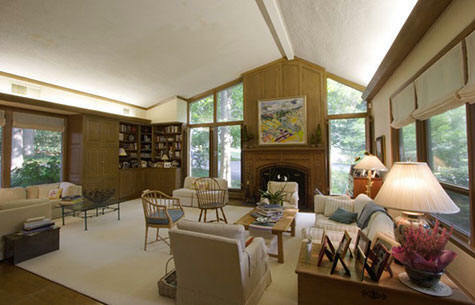 Sold in 1995 to Susan S. and Thomas P. Storrs. 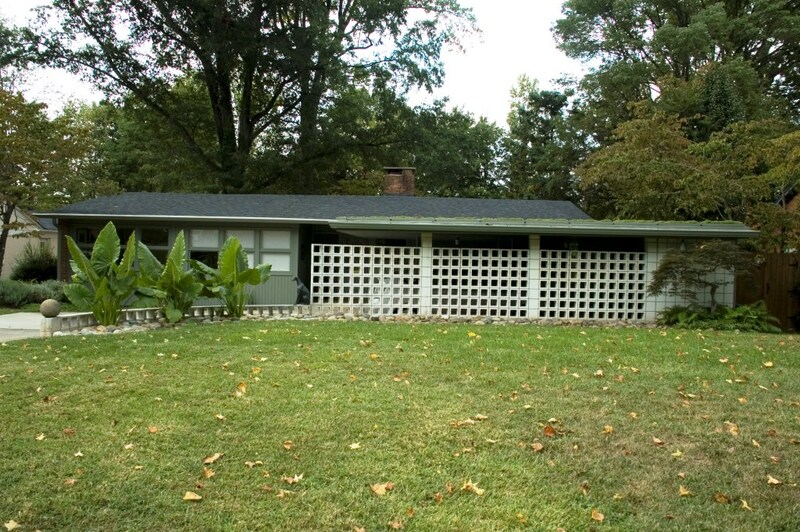 1955 - The Elreta and Girardeau Alexander House, Randleman Road, Greensboro. In 1947, Elreta Alexander was the first black woman licensed as a lawyer in North Carolina. On February 12, 1962, Girardeau and 10 other black citizens of Greensboro filed a historic racial discrimination suit against two hospitals. The Alexanders divorced and Elreta Alexander-Ralston became the first black woman in the nation elected to the judicial bench in 1968. 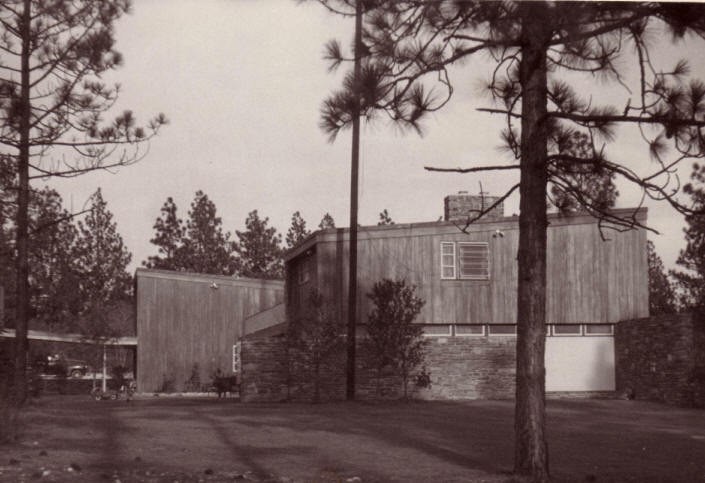 1955 - The Ann and Lloyd P. Tate Residence, aka Starland Farm, Midland Road, Southern Pines NC. Landscape architecture by Lewis Clarke. Thomas Hayes worked for Loewenstein and went to Southern Pines to oversee construction. Interiors by Sarah Hunter Kelly. Destroyed around 1989 for the Long Leaf Country Club. 1955 - The Doris and W. C. Boren III House, 1912 Lafayette Avenue, Greensboro. Traditional design. Sold in 1983 to Charley W and Judith Proctor. 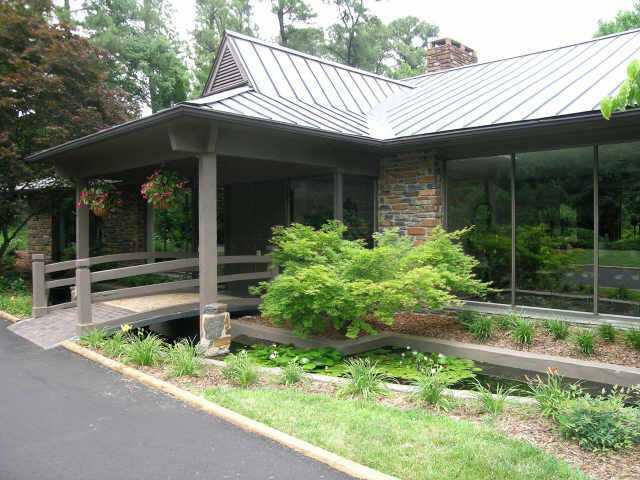 Sold in 1997 to William E. and Emily Hall, Jr.
1955 - The Faye and French P. Wise House, 3700 Holts Chapel Road, Greensboro. Traditional design. Sold in 2000 to Amy A. Reynolds. Photo by Steve Powers. 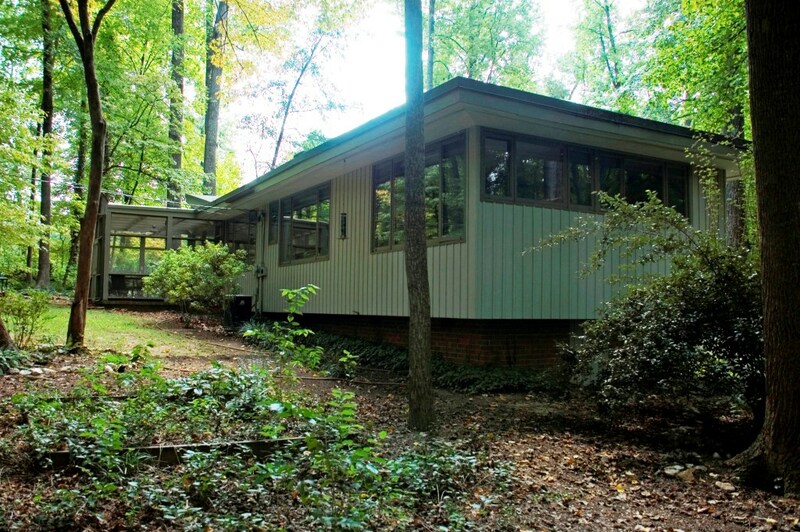 1955 - The Ogburn Fletcher Stafford, Sr. House, 5307 Wayne Road, Sedgefield NC. Taken over by NCNB when Fletcher died in 1970. 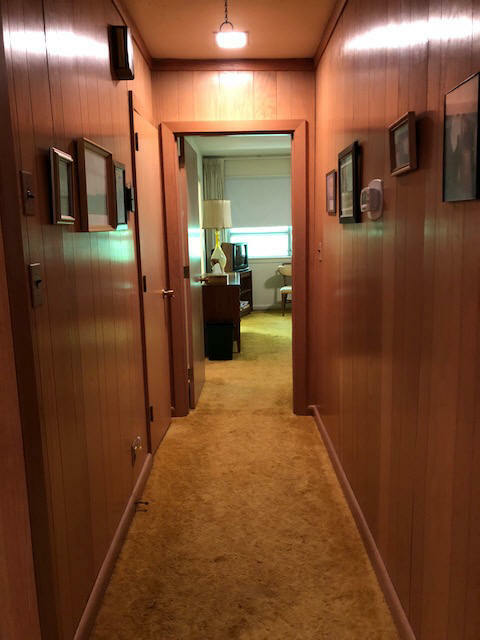 Remodeled in 1974. Sold to Sigmund and Helen Davidson in 1978. Transferred under Davidson family control several times. 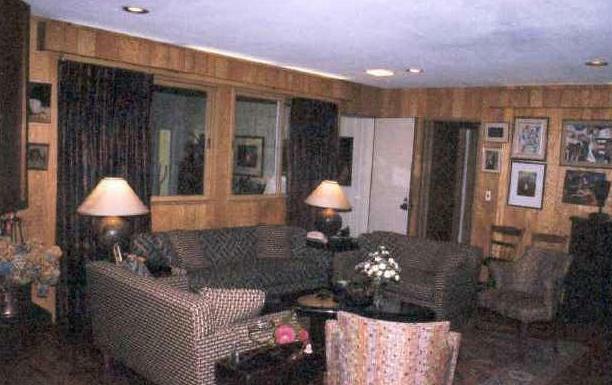 Sold in 1991 to Barry and Susan Heller. 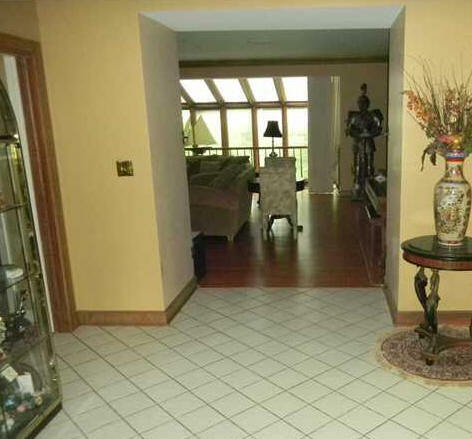 Sold in 2002 to Layne A. and Judy Ann Fuller. 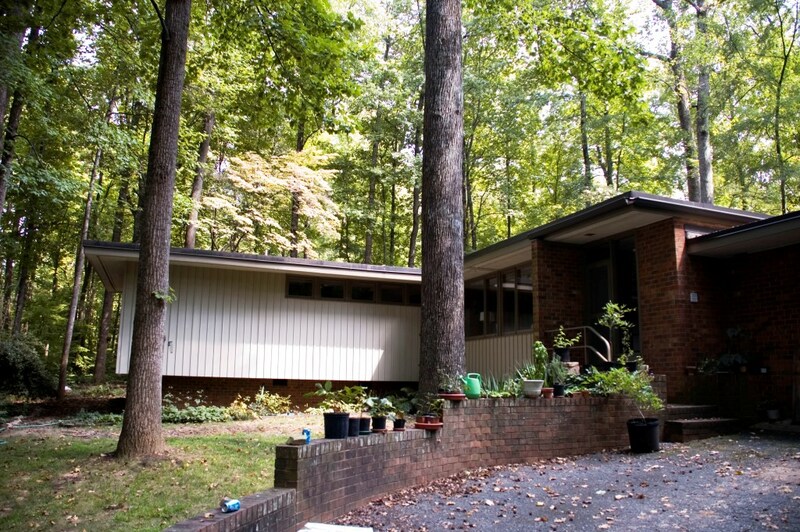 1956 - The Herman L. and Edyth Davidson Residence, 3932 Starmount Drive, Greensboro. Designed with Otto Zenke. A bit modern from the outside. Inside, quite raditional. 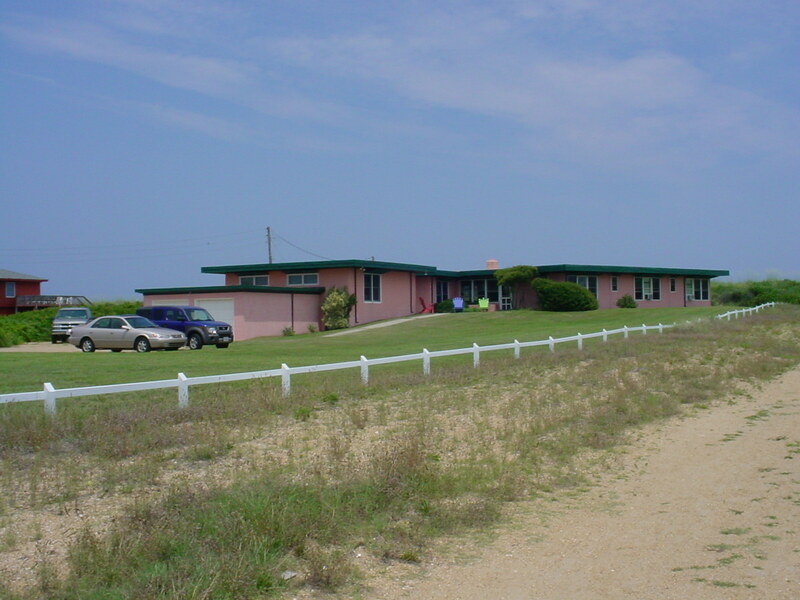 Sold in 2001 to William C. Alley and Gordon L. Nelson. Sold in 2005 to Douglas (Slade) and Tamera (Tammy) Lewis. 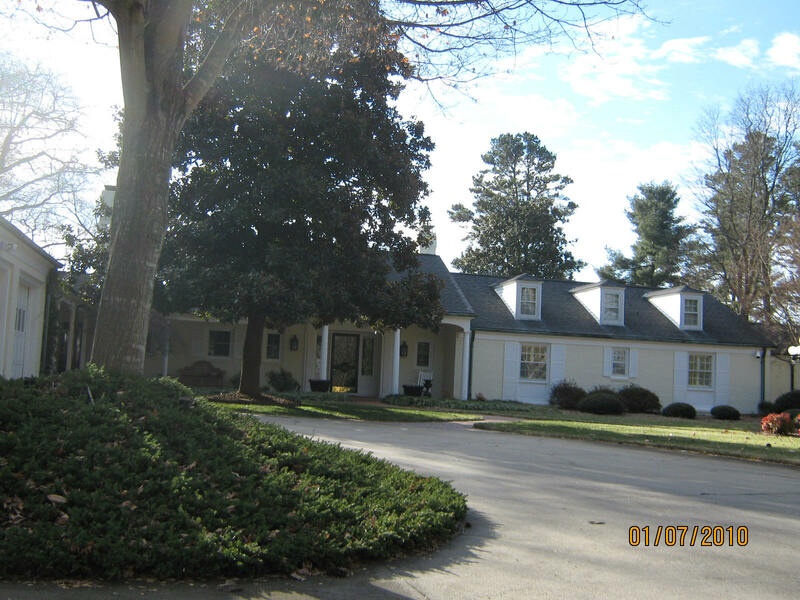 Sold in 2015 to Amanda and Robert T. Nesselt Jr.
1956 - The Stephen L. and Nancy York Upson House, 2101 Lafayette Avenue, Greensboro. Original house, left photo Traditional design. Sold in 2007 to Liza M. and James C. Lee. They changed the roofline and expanded the footprint, right photo. 1956 - The Isabel and Sydney Cone, Jr. House, 306 Rockford Road, Greensboro. As of 2011 owned by Paul and Mary Livingston. 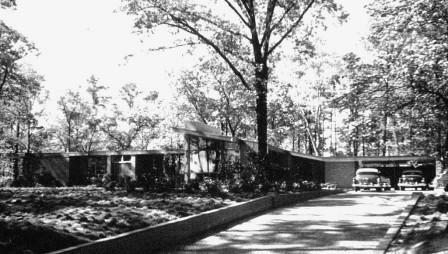 1956 - The Sidney J. and Katherine (Kay) Stern Residence, 1804 Nottingham Road, Greensboro. 5000 sf. Commissioned 1955. They were Loewenstein's in-laws. Sold in 2012 to the Katherine Stern Trust. Interiors by Sarah Hunter Kelly. 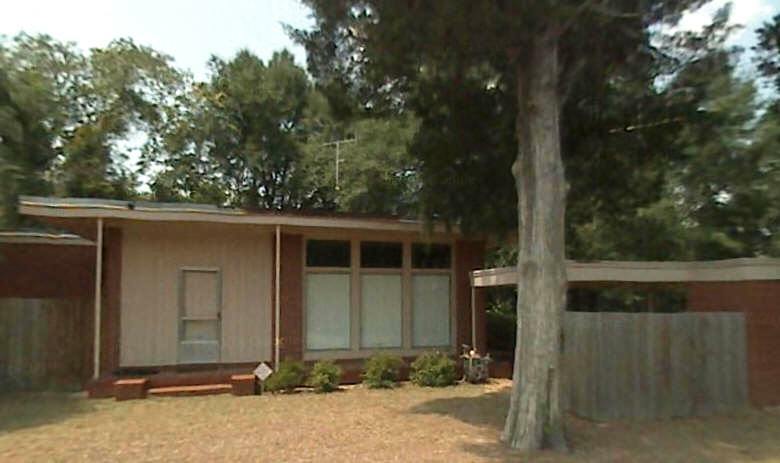 1958 - The Robert S. and Bettie Chandgie House, 401 Kimberly, Greensboro. Commissioned 1957. A mix of Modern and traditional; often referred to as Loewenstein "hybrid" house. Renovated in 1985. As of 2011 still owned by the Chandgies. 1957 - The Emma and Victor Bates House, 3910 Starmount Drive, Greensboro. Sold in 2001 to William Chester Alley and Gordon L. Nelson. Sold in 2013 to Josephine A. and Bobby L. Straughn. 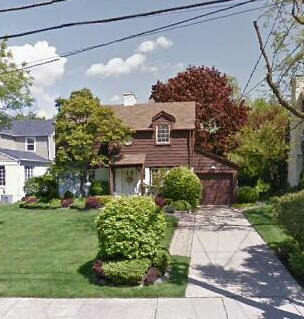 The Straughns simply cleared the liens on the house and listed it unsuccessfully several times. They never moved in, but eventually sold it to give relief to previous owners Alley and Nelson. Sold in 2016 to Jay Bulluck and Lauren Ladd. 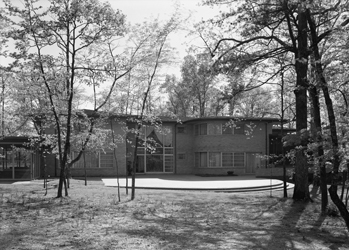 1958 - The Francis and Irvin Squires Residence, aka the Commencement House, 2207 North Elm Street, Greensboro. 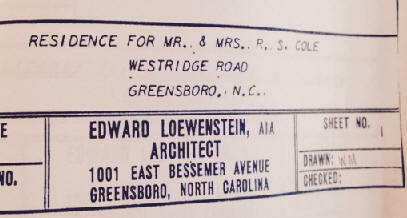 Loewenstein taught an innovative architectural design course at NC Woman's College (now UNC-Greensboro). Twenty-three female students designed a house, oversaw its construction, and decorated the resulting structure, dubbed the Commencement House by the University's public relations office. 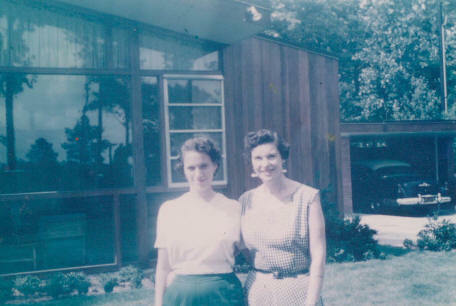 The Greensboro Daily News proclaimed the house "as modern as tomorrow," hailing the women who designed it as pioneers, reporting that "they are the first pupils outside the schools of architecture to attempt the complete designing and building of a house." At its May 1958 dedication, covered by the newspaper and broadcast on WUNC-TV, North Carolina First Lady Mrs. Luther Hodges, herself an alumna of Woman's College, cut the ribbon on the house. Written up in the November 1958 edition of McCall's Magazine (above). 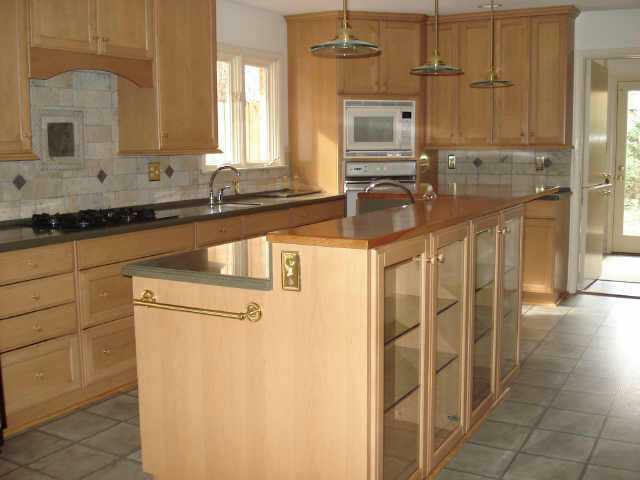 Contractor: Eugene Gulledge (Superior Contracting Company of Greensboro). 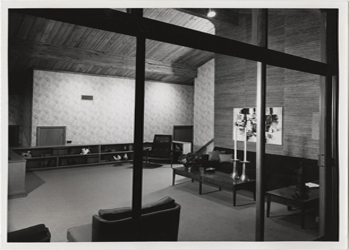 B/W photos from UNCG Walter Jackson Library, Department of Special Collections. Recent photos by Charles Brummitt. 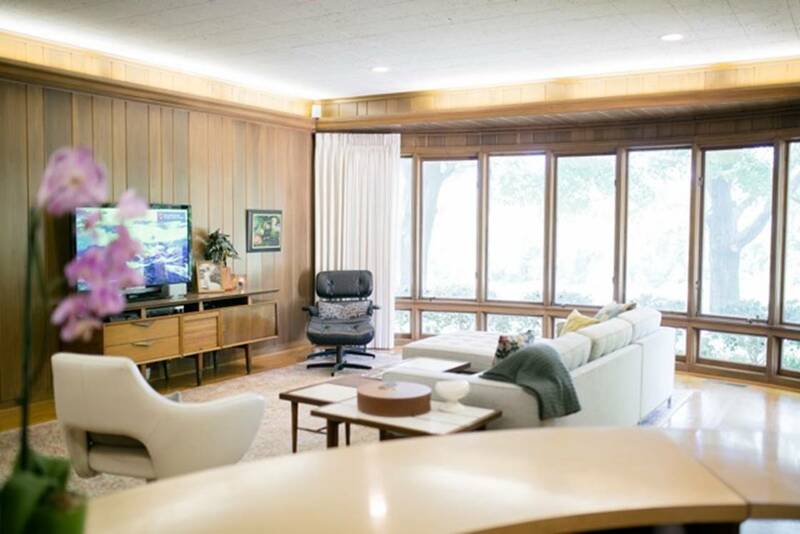 The 360° VR tour is self-guided and does not depict every room (bathrooms, utility rooms, and a lower-level recreation room and bedroom were not photographed). 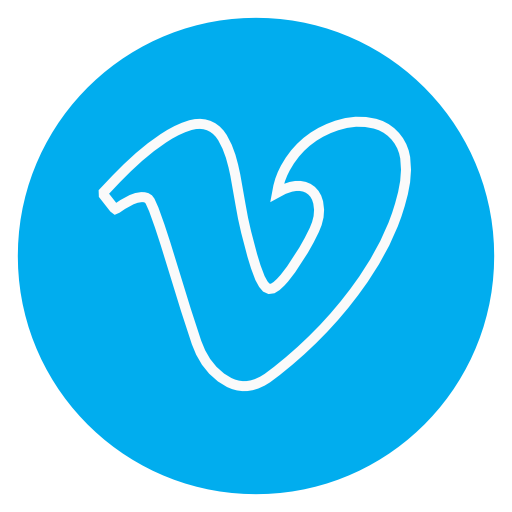 Use the directional arrows in the navigation bar that overlays each image, or your mouse, to explore each space. The button on the far right of the navigation bar opens a full-screen view. 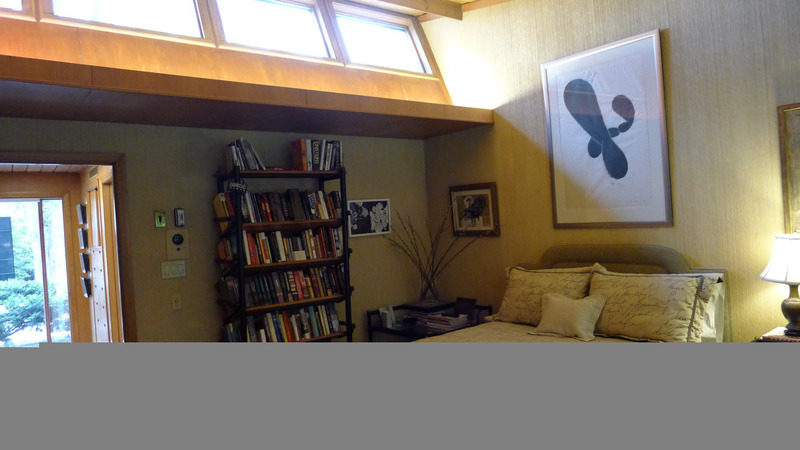 Hotspots, which link to views of other rooms, are depicted by highlighted areas or pulsing circles. Developer John Stratton purchased the house to be part of a larger redevelopment. Although the house had deteriorated to the point where it could not economically be recovered, neighbors organized to save it anyway. In 2010, after several public hearings, the house was destroyed. 1958 - The Helen Ashby House, 1710 Wright Avenue, Greensboro NC. 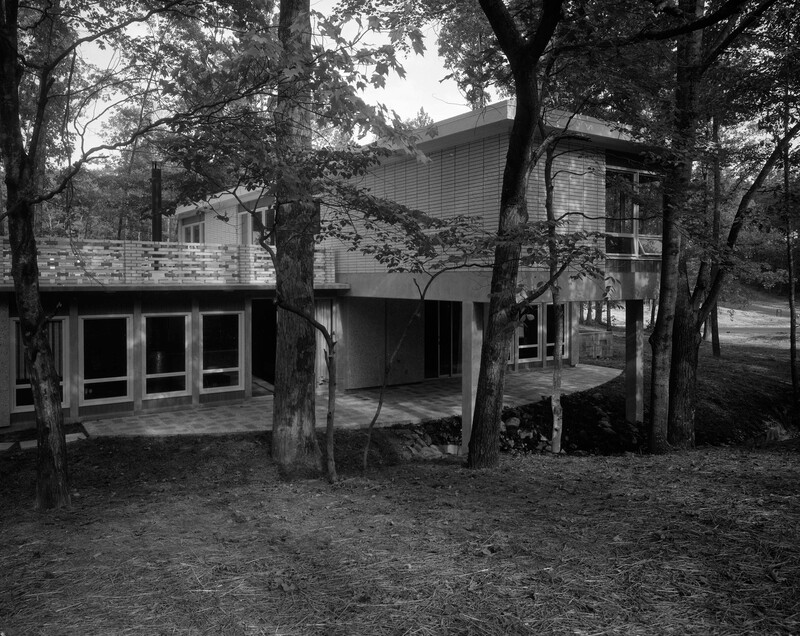 Ashby designed the house with assistance from Loewenstein. Built by John T. Hiatt was the builder. Deeded to Paul Allen and Ann Ashby. Sold in 2016 to Tracey A. Shuford. 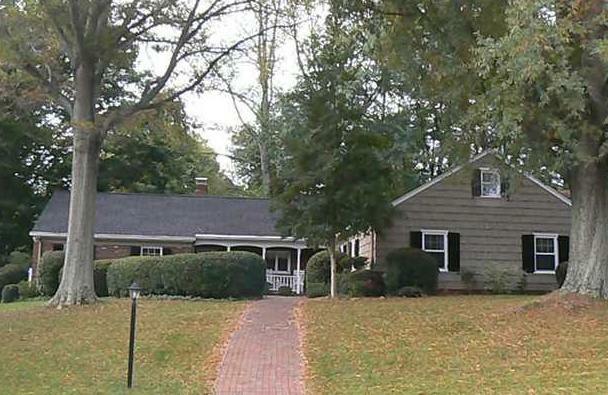 1959 - The Marion and Kenneth P. Hinsdale House, 612 Rockford Road, Greensboro NC. 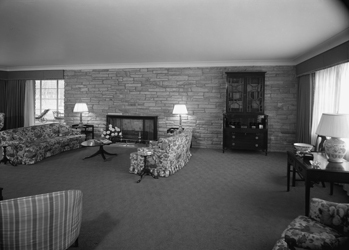 Also known as the 1959 Commencement House. 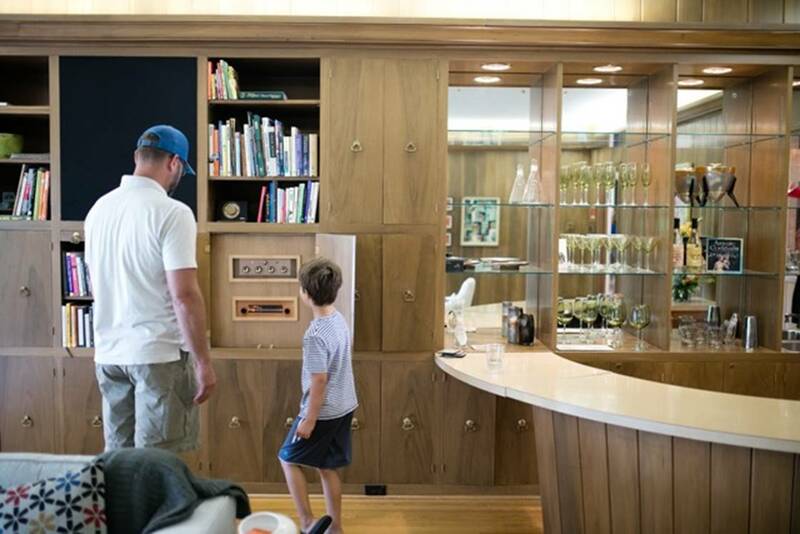 Built for $24,000, the UNCG students divided the small, family-oriented, one story house into public and private zones, orienting the public but cozy dining room and theatrical living room out a large expanse of glass wall toward the wooded lot and a lake view. 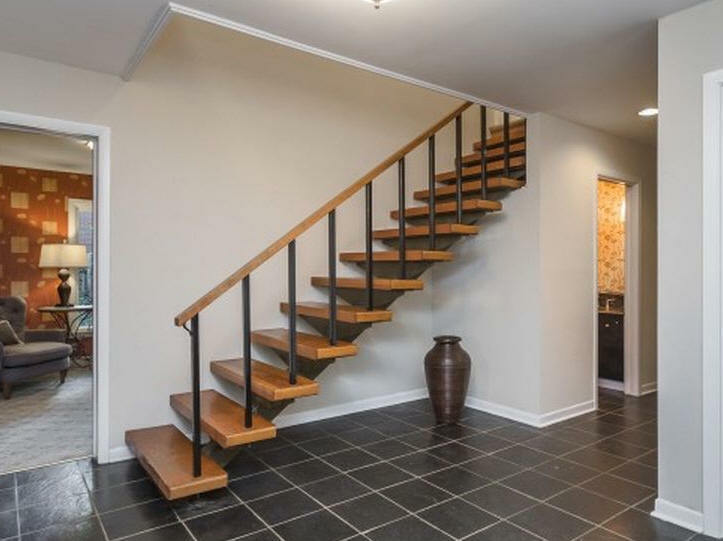 There are three bedrooms and two and one-half baths, including a large master suite. 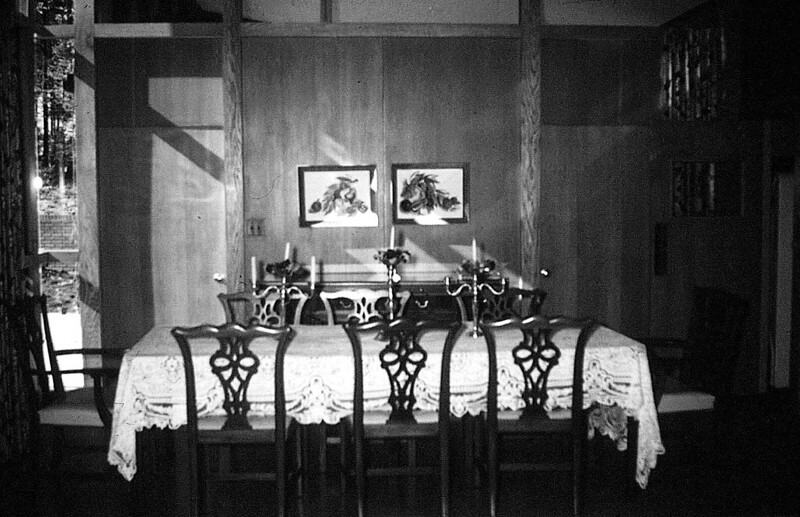 The house was featured in Living for Young Homemakers. 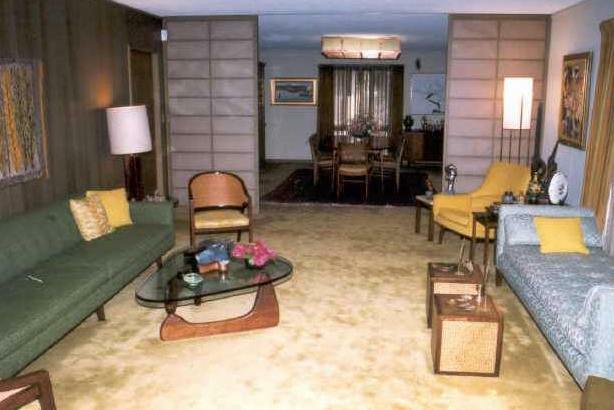 Walter J. Moran was the interior designer. 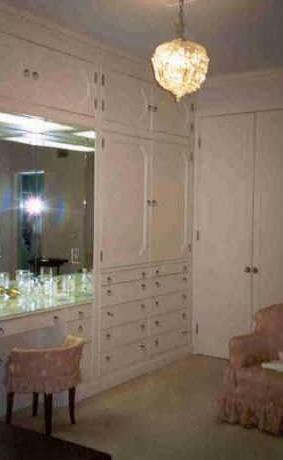 Contractor was Eugene Gulledge of Superior Contracting Company. Sold in 2008 to Randy McManus. 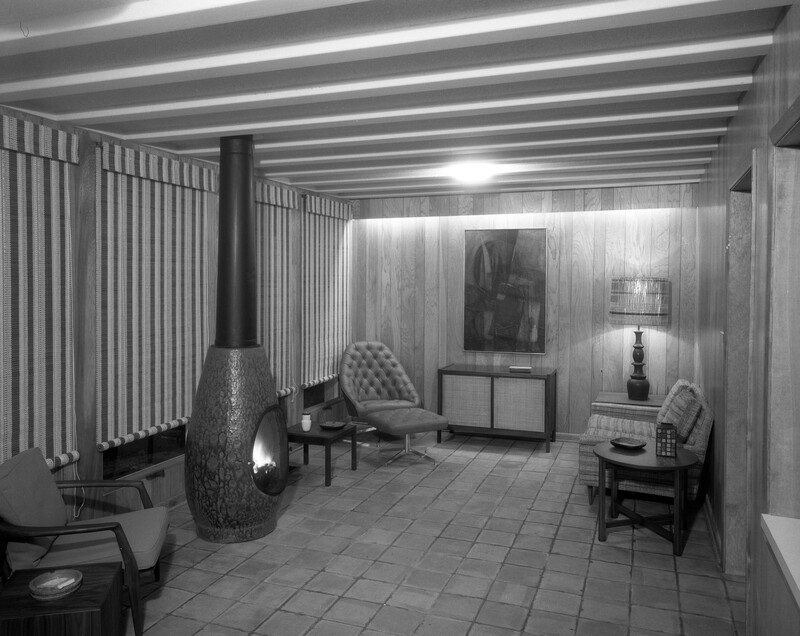 1959 - The James Bruce House, Greensboro NC. Address unknown. 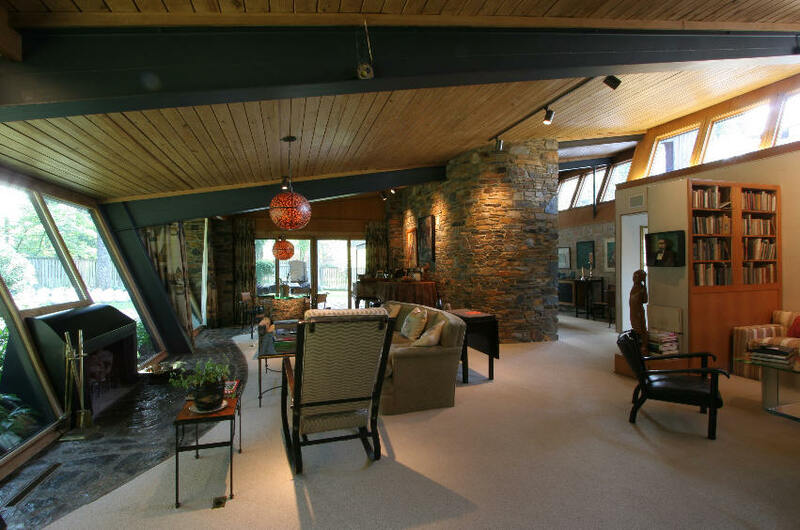 A mix of Modern and traditional; often referred to as Loewenstein "hybrid" house. 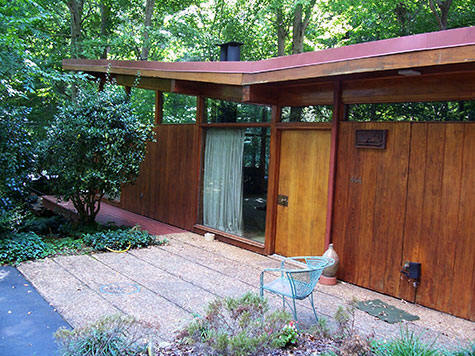 1959 - The Evelyn and John Hyman House, 608 Kimberly Drive, Greensboro. Designed with Gregory Ivy. Built by Eugene Gulledge. 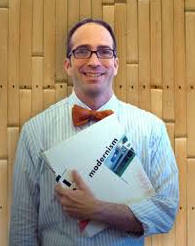 Project architect Kelly Richard Kidd. Landscape design by Raeford Turner. 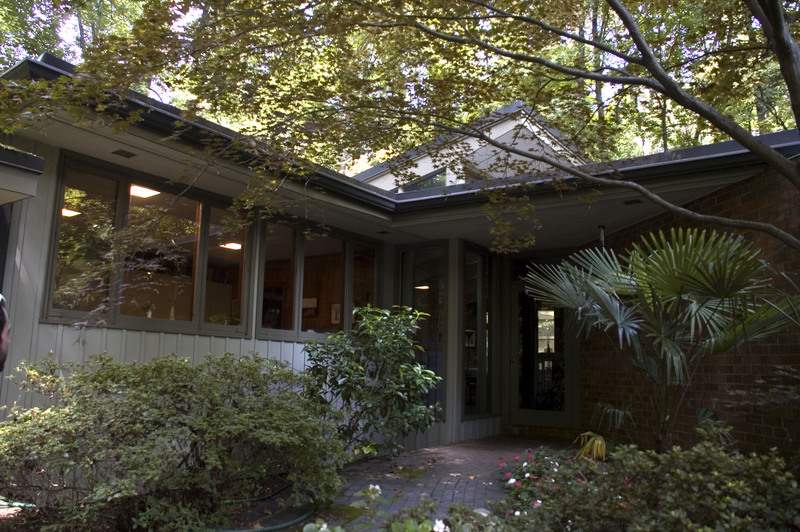 Addition and renovation in the 1980's, architect unknown. Sold to Lisa Tannenbaum. Sold in 2006 to Fred Lopp. In 2011 owned by Lopp's LLC, Equity Resource Partners IV LLC. Sold in 2013 to Fred B. Lopp. 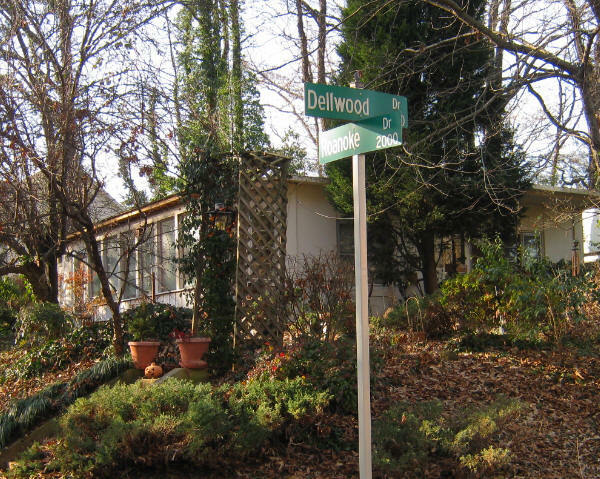 1959 - 102 Elmwood Terrace, Greensboro. It had been empty for 8 years and was close to being destroyed. 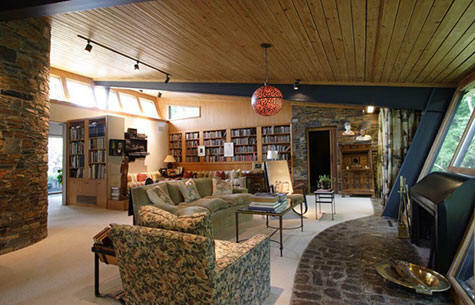 David Kratt bought it and did massive renovations between 1995 and 1999. 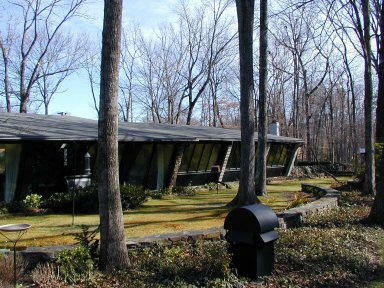 Sold in 2002.Sold in 2007 to Myron and Sklyer Bass. 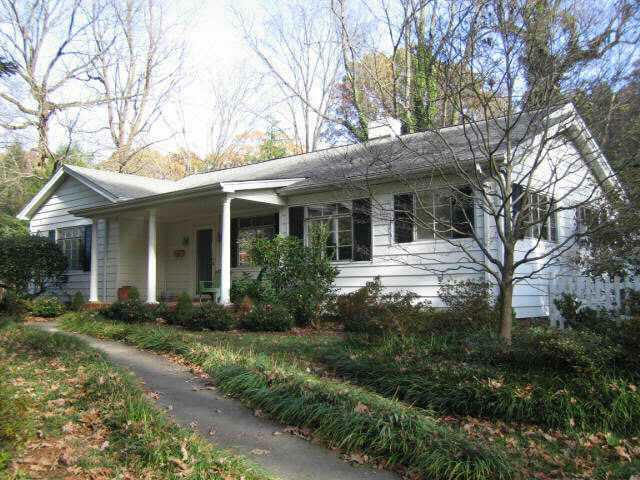 Sold in 2012 to Bart Alan and Tonya Ruth Loveday-Whitley. Sold in 2016 to Parrish L. and Jonathan T. Peddrick. 1960 - The Virginia F. and Dallas Bright House, 1000 Stage Coach Trail, Greensboro. The former address for the site was 6812 West Friendly Avenue. A traditional ranch house. 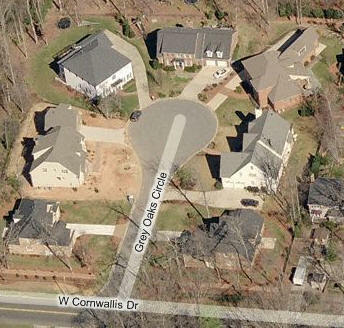 In 1999, the Brights sold to the NC DOT who ran a road through the front yard. 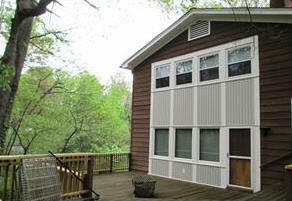 Sold in 2002 to Creative Home Solutions of the Triad. Photo by Steve Powers. 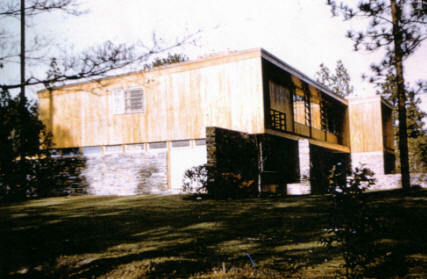 1961 - The Bob Pennfield White Residence, 1244 Sam Lions Trail, Martinsville VA. Built on a cliff. 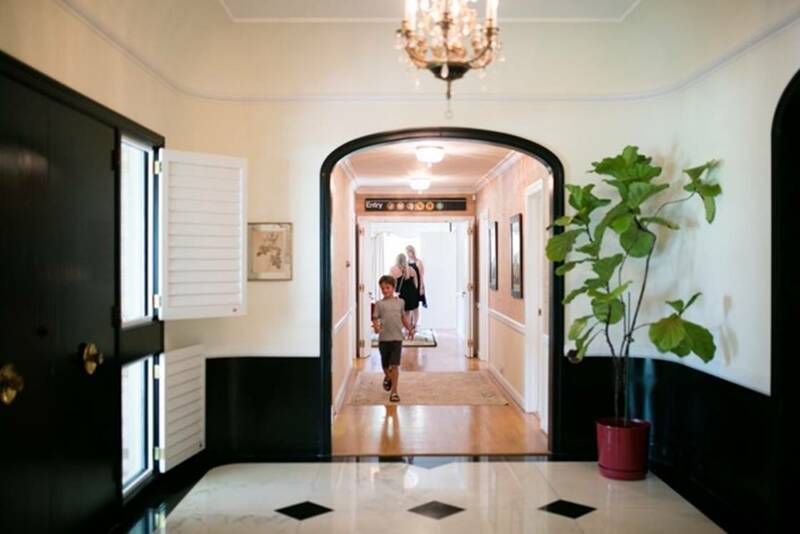 The clients spent three years looking at plan books for a special "California-style" house. 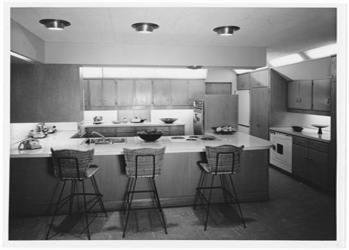 Loewenstein designed the original house core; Bill Gilbert of Stanley Bowles Corporation designed the rest. Built by Earl Helms, later Stanley Clark. 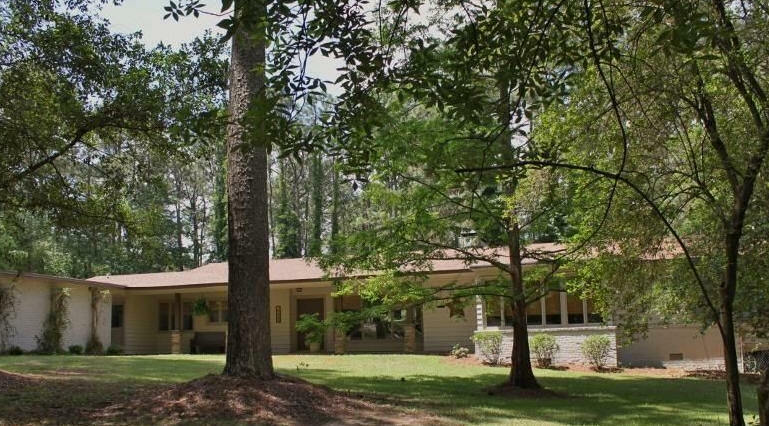 1962 - The Joanne and Wayne Davis House, 5925 Westdale Acres Drive, Pleasant Garden NC. 5 acres. Commissioned 1959. 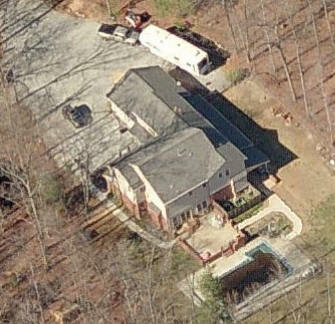 As of 2011 still owned by the Davis family. 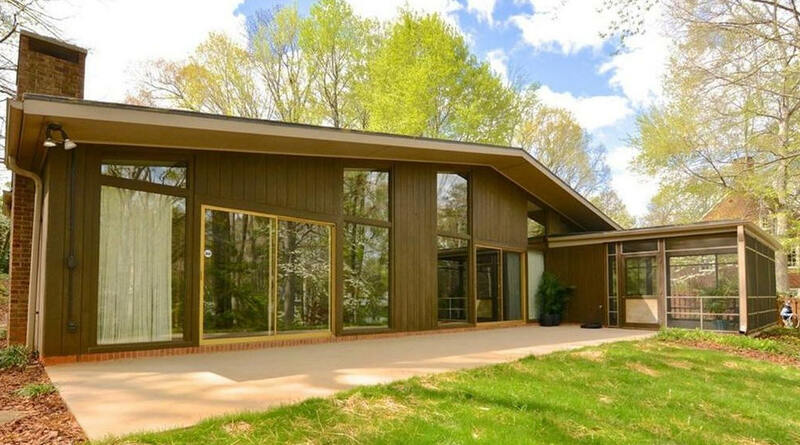 1962 - The Alf Hollar House, aka the Horizon House, 1805 Brookcliff Drive, Greensboro NC. Part of a competition sponsored locally by Carolina Quality Block Construction. 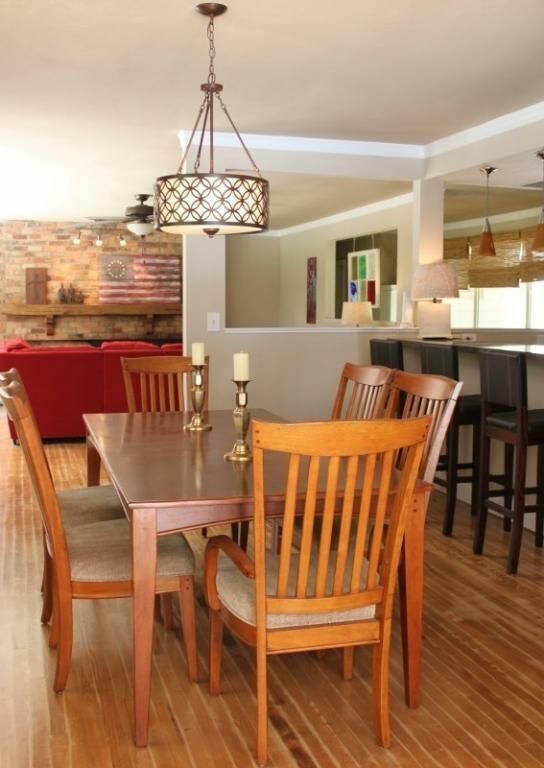 Originally owned by Superior Construction Corporation which was also the builder. They sold it to Hollar. Addition by Clinton Gravely in the 1970's. Sold in 1984 to Bud and Joanne Miles. B/W photos by Carol W. Martin/Greensboro Historical Museum Collection. Color photos by Mark Meagher. 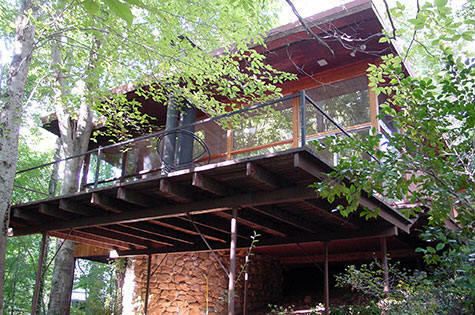 1962 - The Leah and A. Jack Tannenbaum House, 2904 Wynnewood Drive, Greensboro. 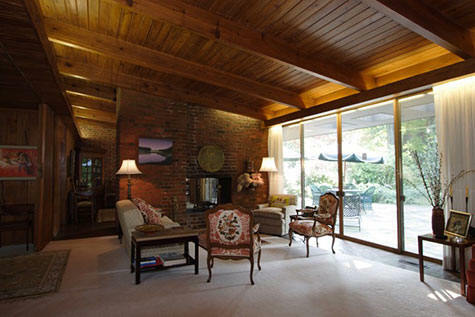 Features a large curved fireplace, exposed timber ceiling, and a courtyard. Renovations in 1975. Deed to their daughter, Jean. Clinton Gravely and Frank Harmon were project architects. 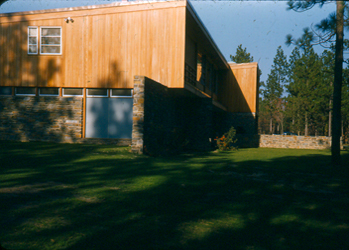 1964 - The M. Celeste Ulrich House, 5808 Queen Alice Road, Greensboro. 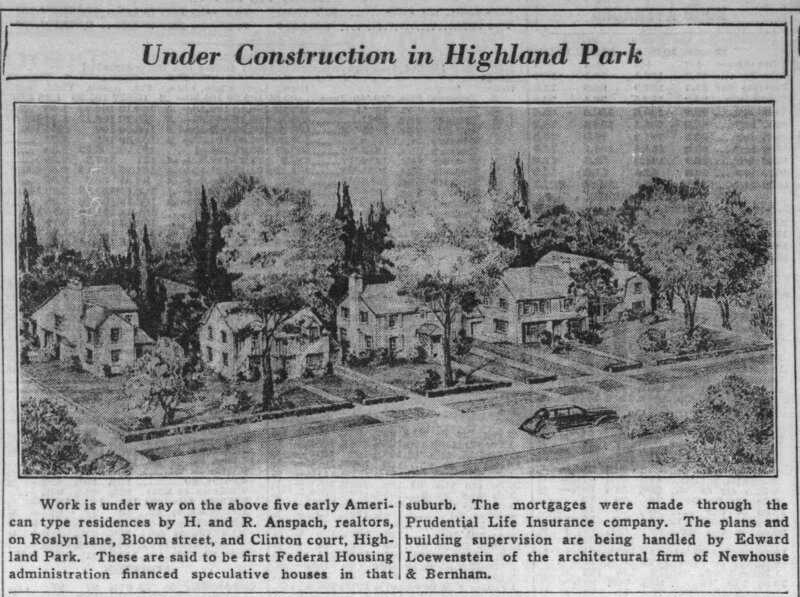 According to Celeste Ulrich, Loewenstein did a few sketches but the house was unbuilt. 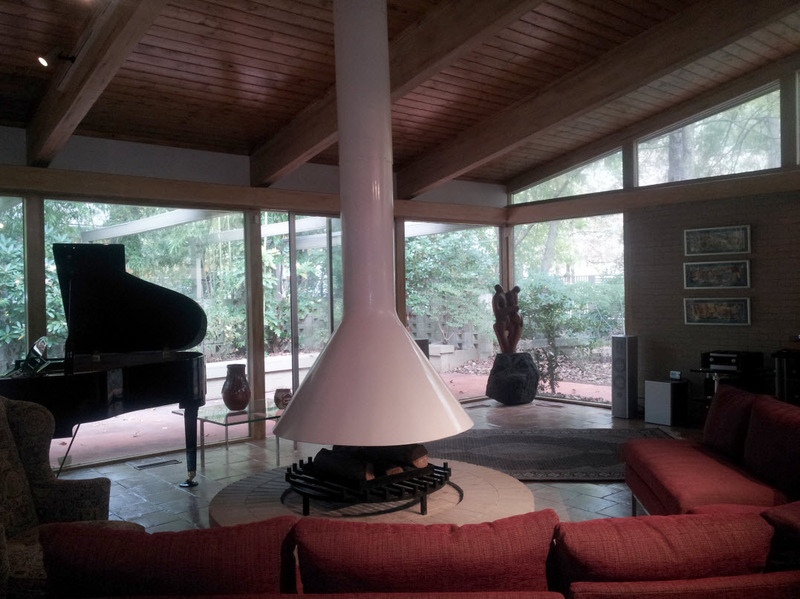 1964 - The Ellen and Edgar Marks House, 210 Kemp Road East, Greensboro. 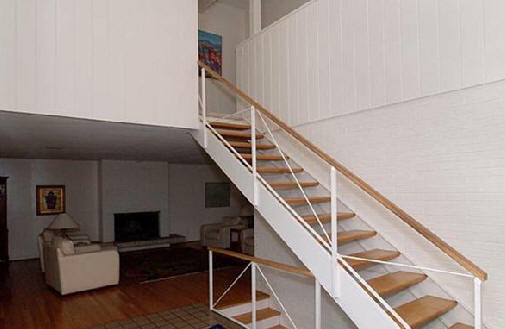 Sold in 1975 to Ellen S. Marks. 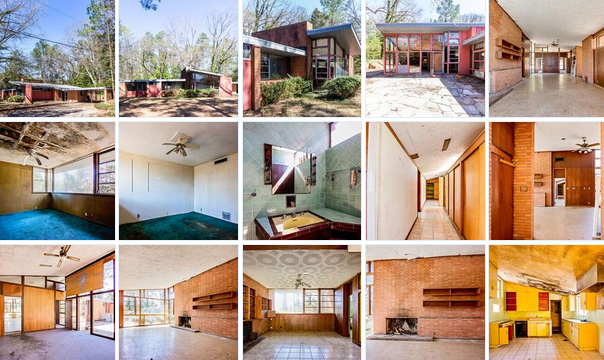 Sold in 1975 to Claudius and Virginia Dockery III. Sold in 1976 to I. H. Caffey Jr. Sold in 1983 to George W. and Carroll Page, Jr. Sold in 2017 to Lovelle and Alan B. Overbey. Top photo by Paul Macy. 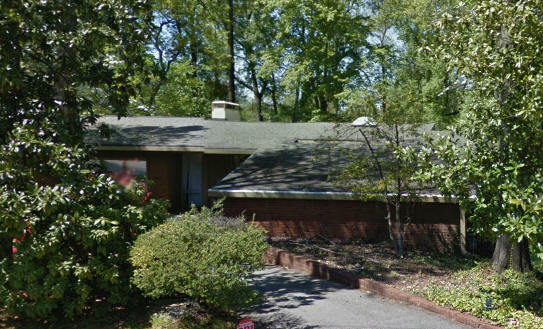 1964 - The Richard and Joan Steele Residence, 601 Woodland Drive, Greensboro. 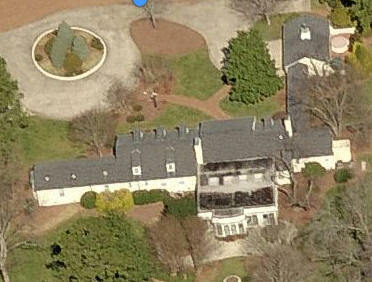 As of 2011 owned by William and Elizabeth Blackwell. Top photo by Leilani Carter. 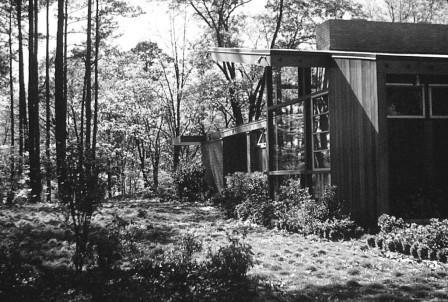 1965 - The Herbert L. Smith and Nancy Downs Smith House, 3307 Gaston Road, Greensboro NC. 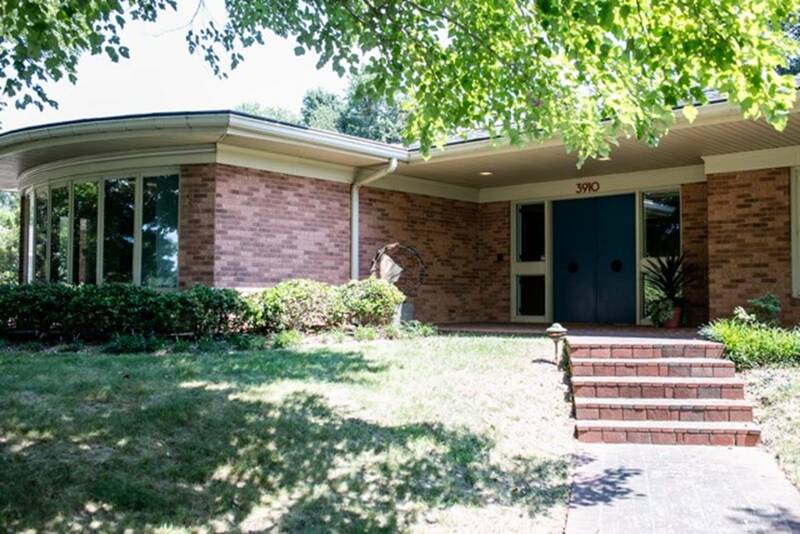 Also known as the 1965 Commencement House. Nancy Downs, hostess for the WUNC-TV show "Potpourri," had covered the 1958 Commencement House and had her eyes on being the next Commencement House client. 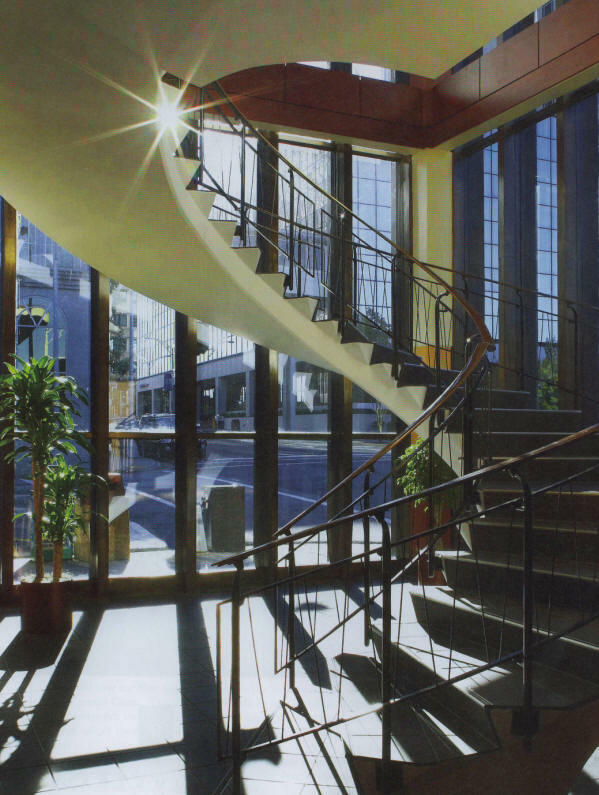 Student Polly Colville designed a dramatic 17-foot high window wall in the entrance hall, a second-floor deck above a terrace overlooking the golf course at the rear of the lot. Sold in 1986. The property went into foreclosure in 2009. Ssold to Alan Bacot and Christine Cotton. 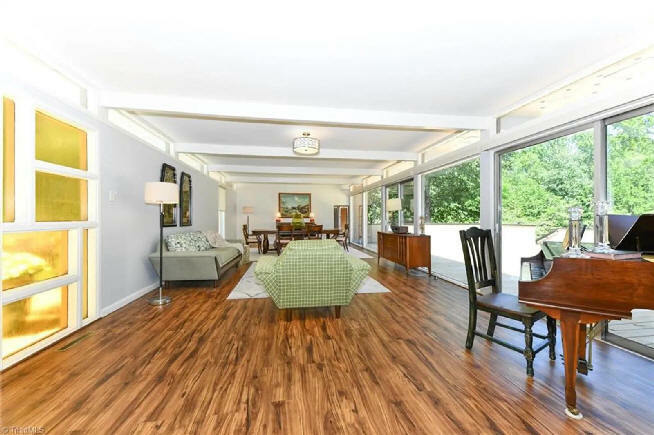 1.5 acres, 3878 square feet. 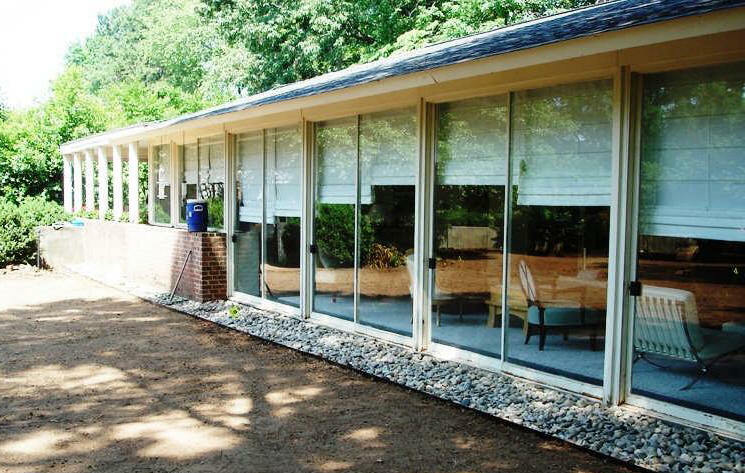 1965 - The James and Anne Willis House, 707 Blair Street, Greensboro NC. 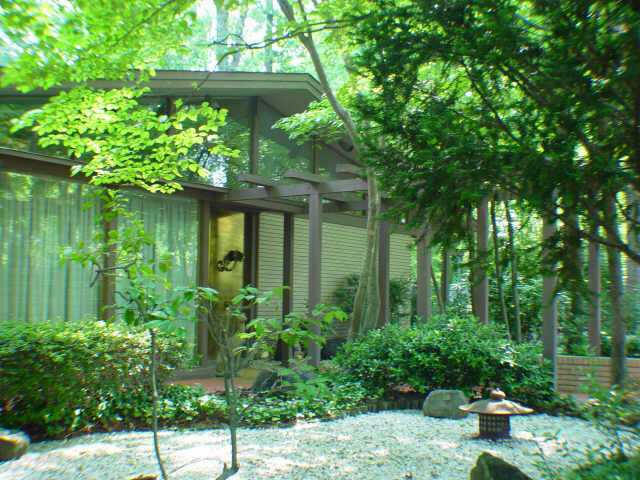 Threatened with teardown when Sara and Tom Sears bought the house in 2002. Has been restored. Listed on the National Register of Historic Places in 2014. Sold in 2017 to Donna C. Hurd. 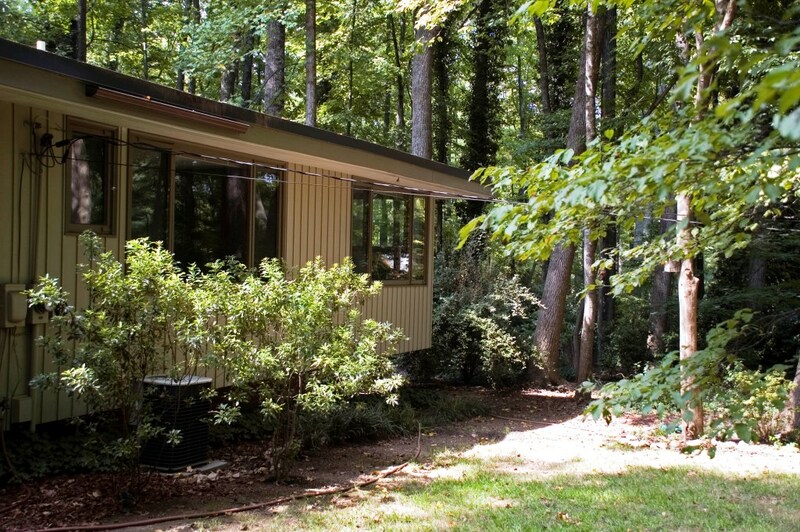 1965 - The Joan and Herbert (Herb) S. Falk, Jr., House, 2204 Marston Road, Greensboro. Commissioned 1964. 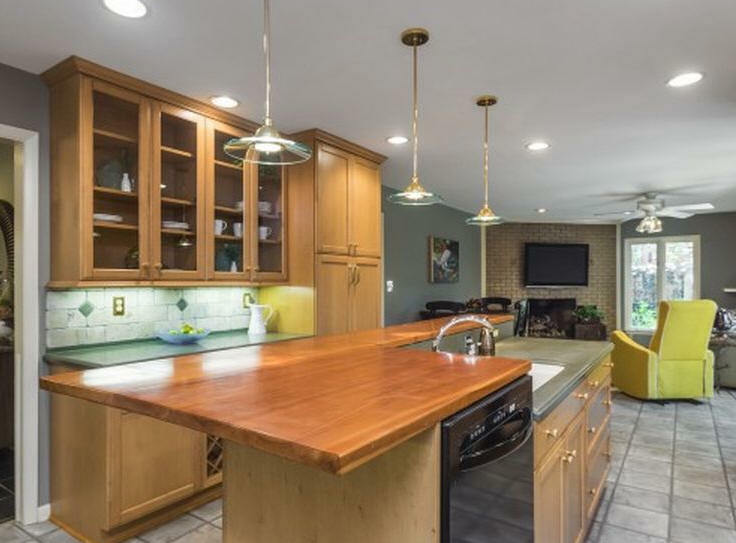 Sold in 2005 to Ryan and Lindsay Jones who updated the kitchen and made other small improvements. 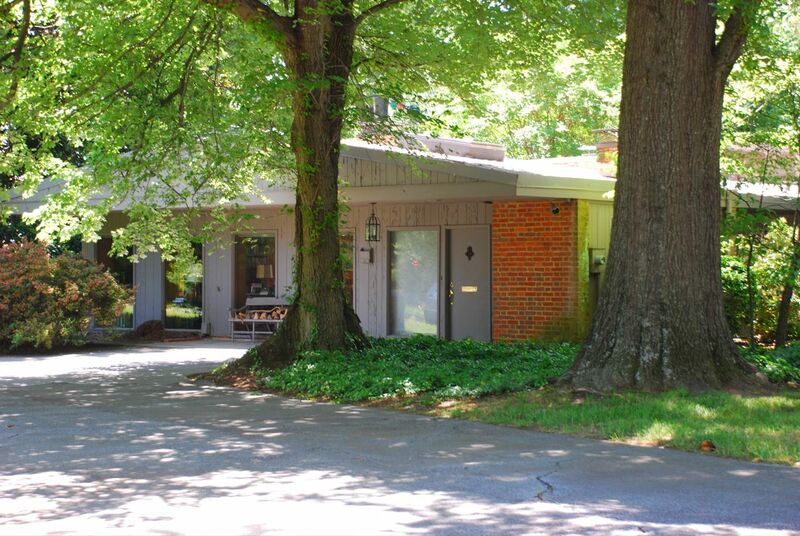 1965 - 2930 Ormond Drive, Winston-Salem NC. 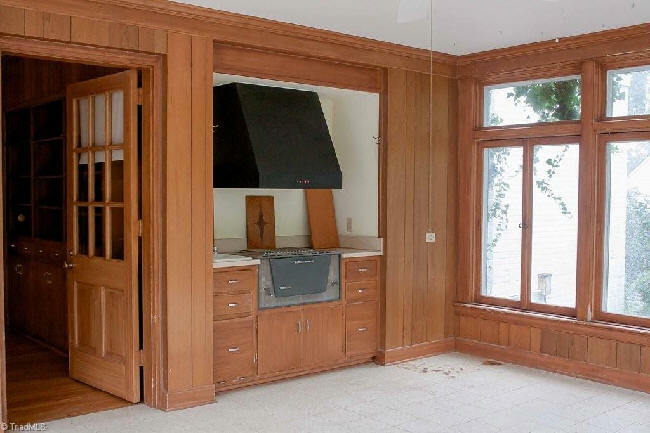 The original owners moved out and it was sold around 2000. As of 2011 owned by Susan Alvers and Ralph Rice. 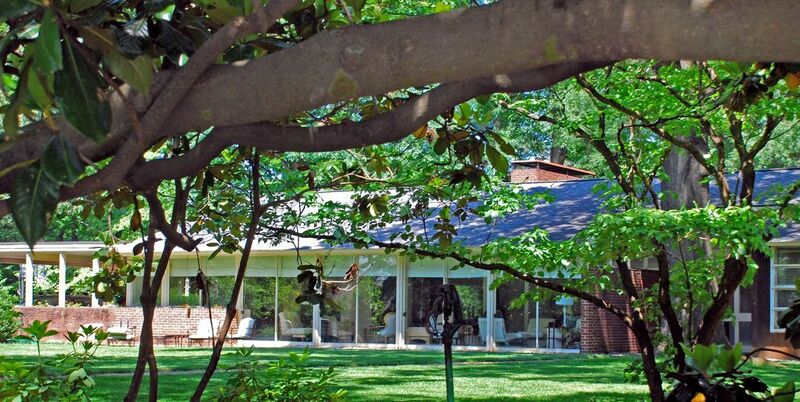 1965 - The David M. Parmelee House, 429 East Hendrix Street, Greensboro. We have been unable to locate this house; it may be destroyed. Do you know? 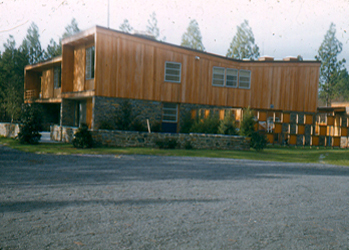 1967 - The Mark and Willie Snow Ethridge Residence, 1444 Center Grove Church Road, Moncure NC. Only modestly modern. Sold to Joyce and Fred Sparling. Sold in 2017 to Nirvana Phoenix LLC. 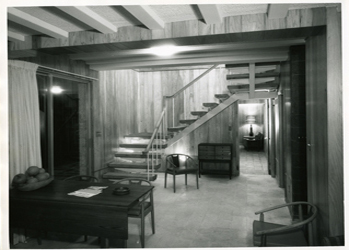 1967 - The Florence and Albert Jacobson House, 3607 Henderson Road, Greensboro. The original design was from a plan book and Loewenstein did modifications. As of 2011 owned by Christine Stone. Sold in 2016 to Diana S. and James T. Stafford. 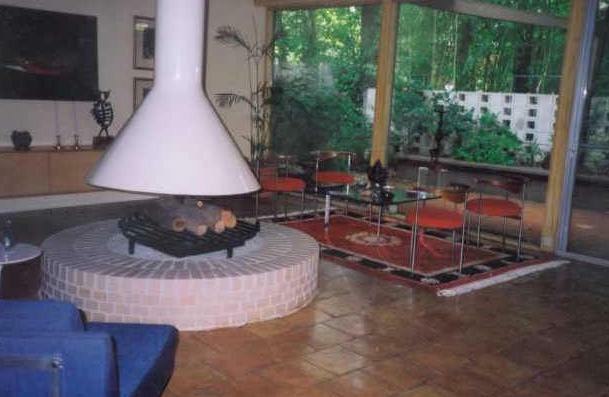 1968 - The Barbara and Maurice Fishman House, 204 Kemp Road East, Greensboro. Sold to Barbara Lavietes. Sold to Kelli Ingram prior to 2011. Sources include: Patrick Lee Lucas, Greensboro News and Record, daughter Jane Loewenstein Levy, former employee James Brandt, MDMHC Consultants, 2009 Fayetteville Modern Architecture Survey Report, North Carolina Architects and Builders Database, Carol W. Martin/Greensboro Historical Museum Collection.